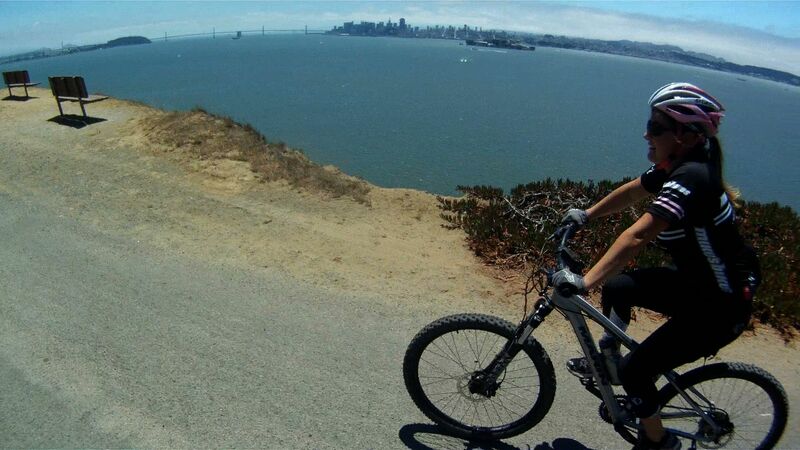 WE LIKE TO BIKE | Find Real Trips and Real Tips from the Couple that Just Likes to Bike. 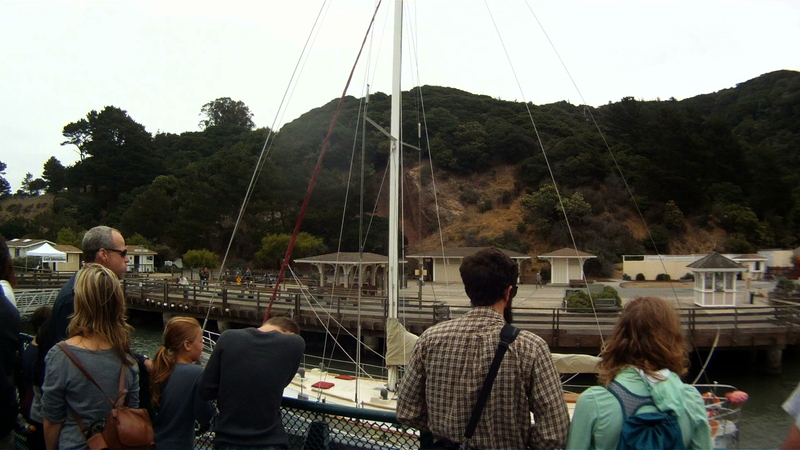 Everyone that comes to San Francisco knows the most famous island in San Francisco Bay, Alcatraz, but only a few know about the Jewel of the Bay, Angel Island. 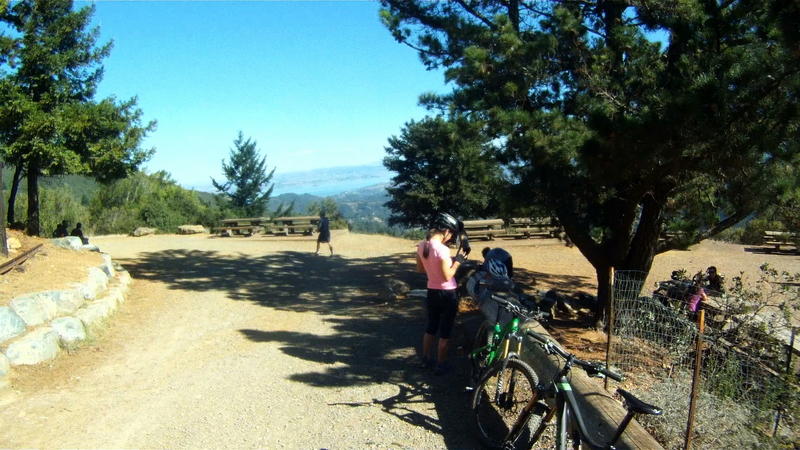 Angel Island State Park, the largest island in the San Francisco Bay offers some of the best views of the surrounding Bay Area. 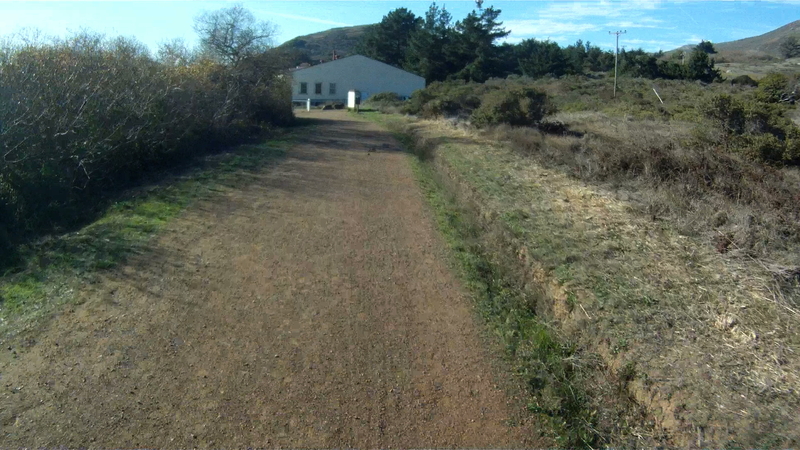 It has been a cattle farm, a military barracks, a quarantine station, immigration station and now a nature conservatory. 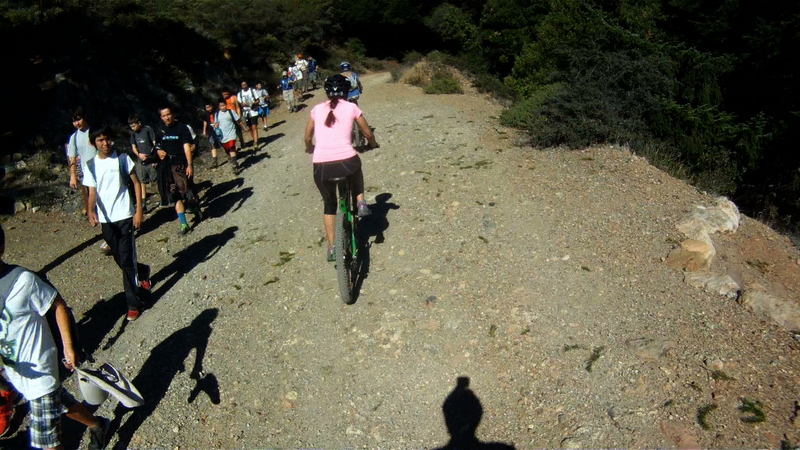 This was our first endeavor in mountain biking and makes a great introduction for everyone. 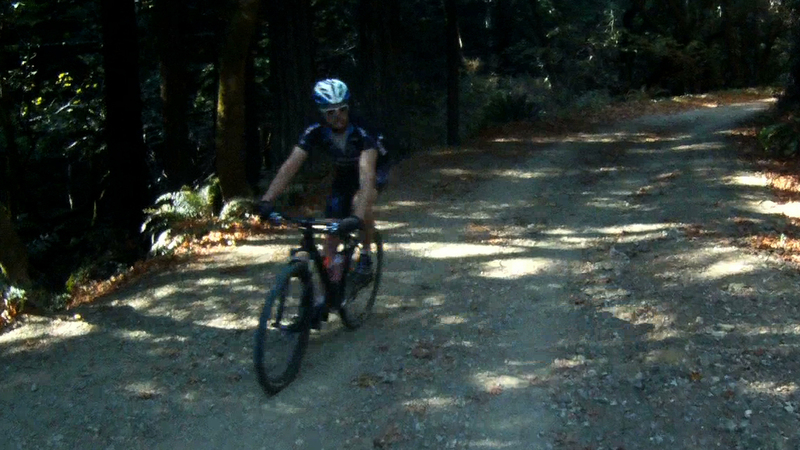 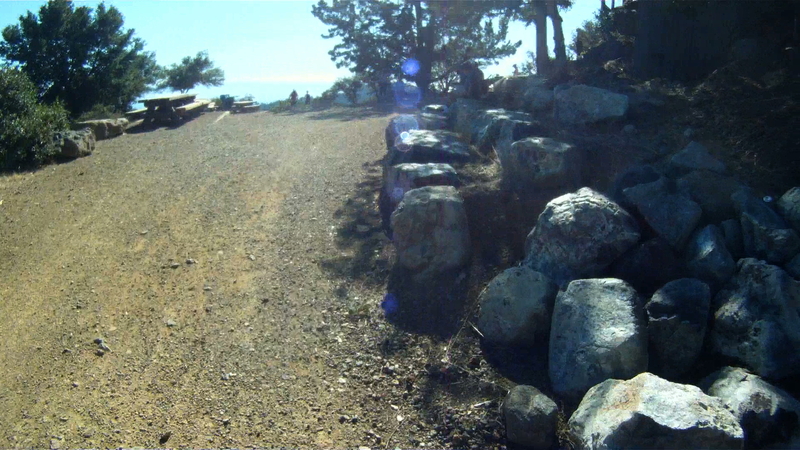 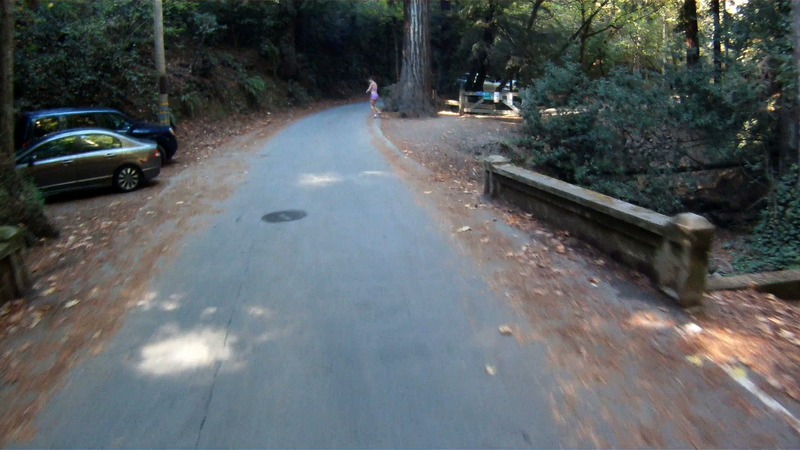 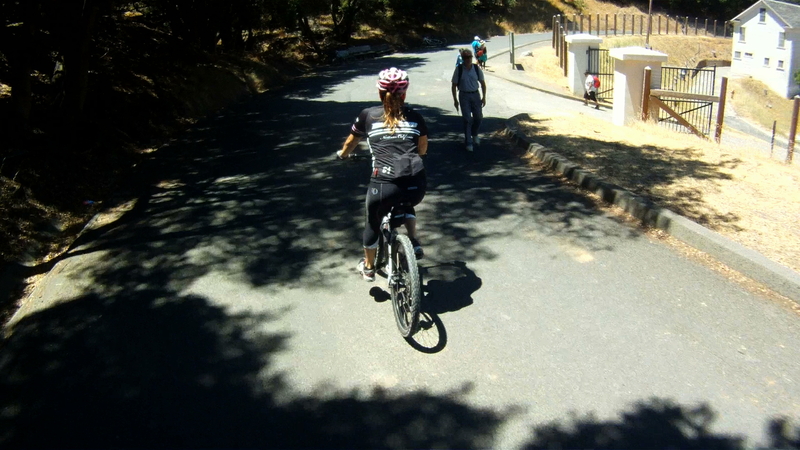 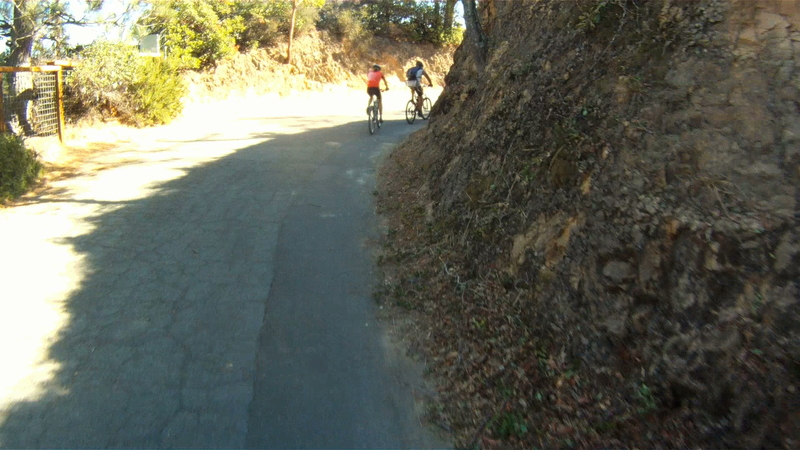 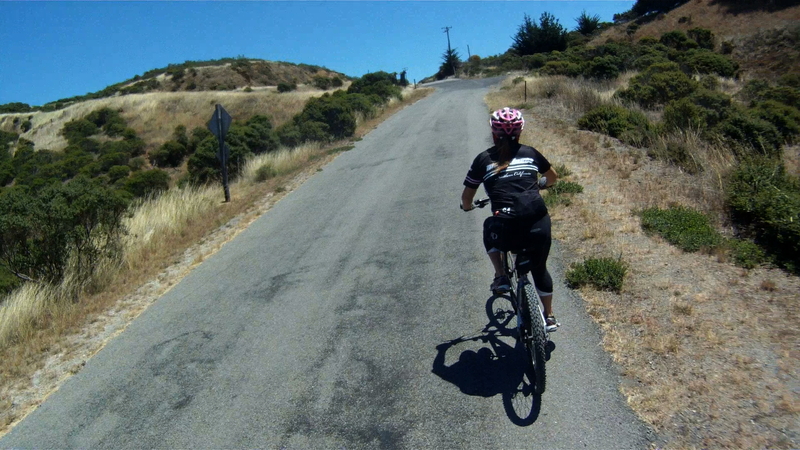 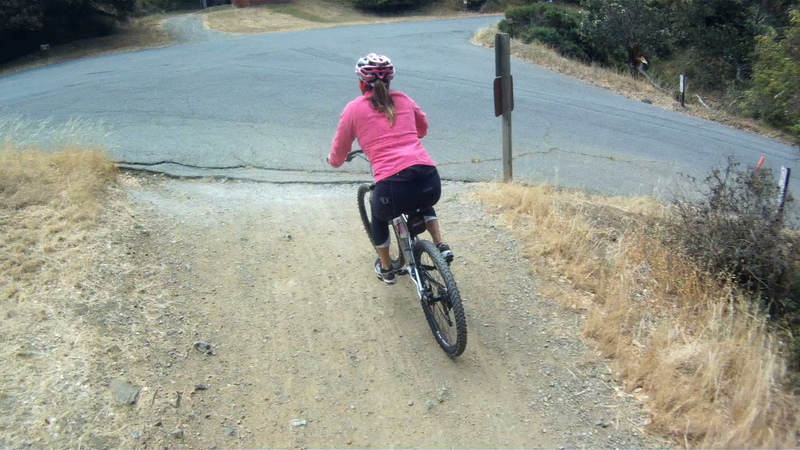 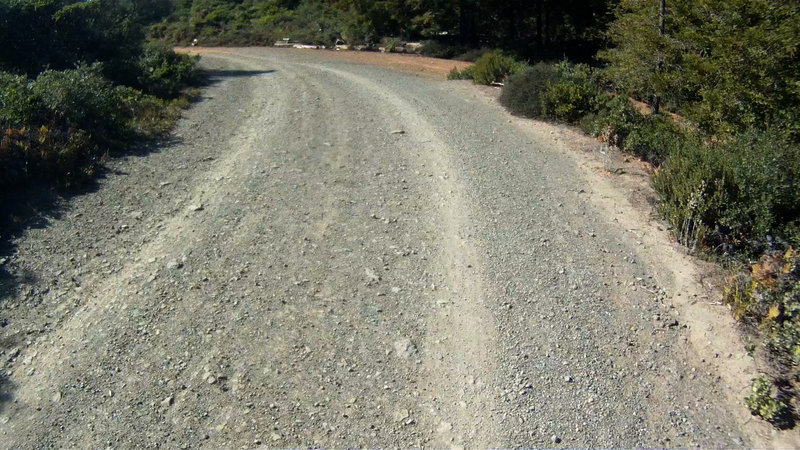 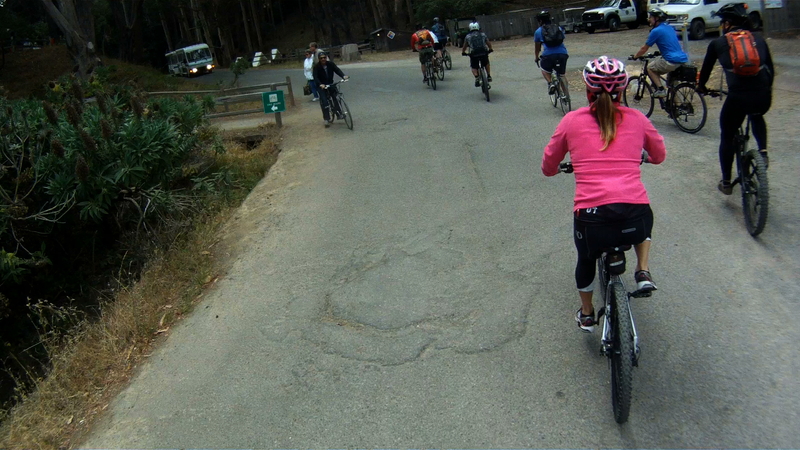 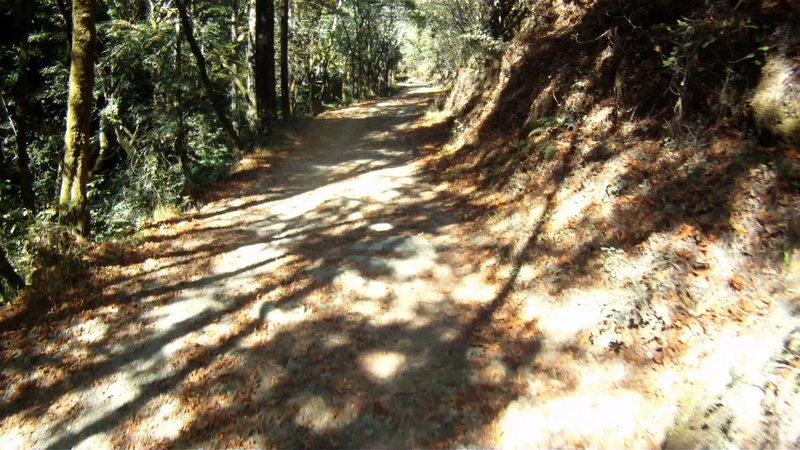 Difficulty: Although you can ride your road bike along the lower paved path, the real fun comes when you hit the trails. 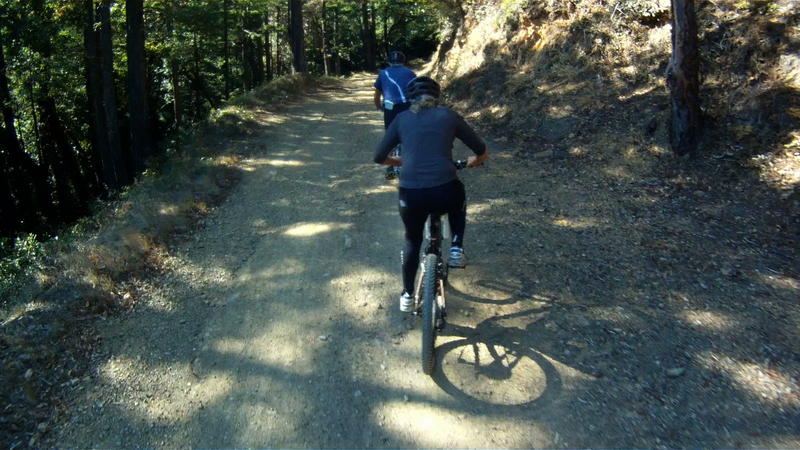 This is a great beginner’s trail and gives you an amazing introduction to mountain biking without too much difficulty. 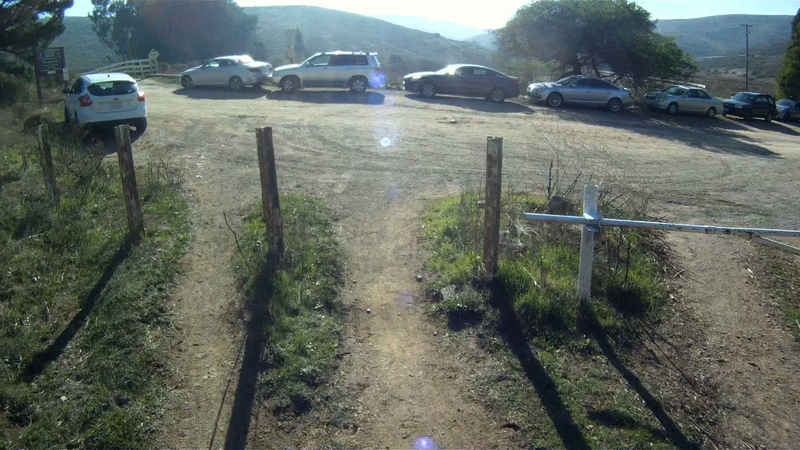 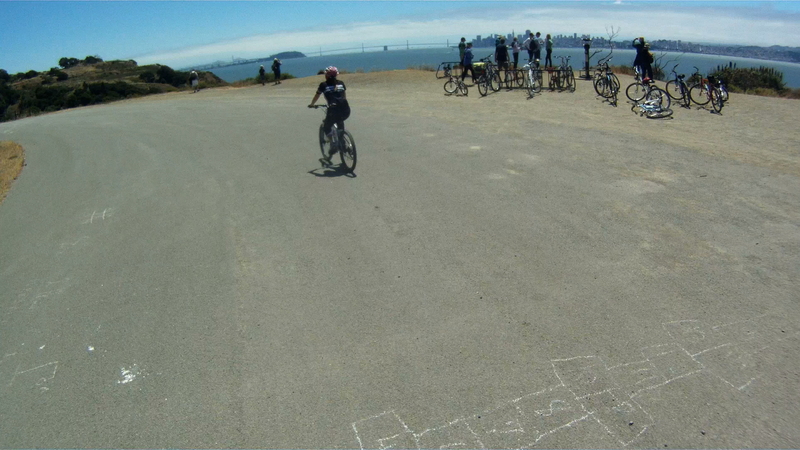 There are two ways to get to Angel Island. 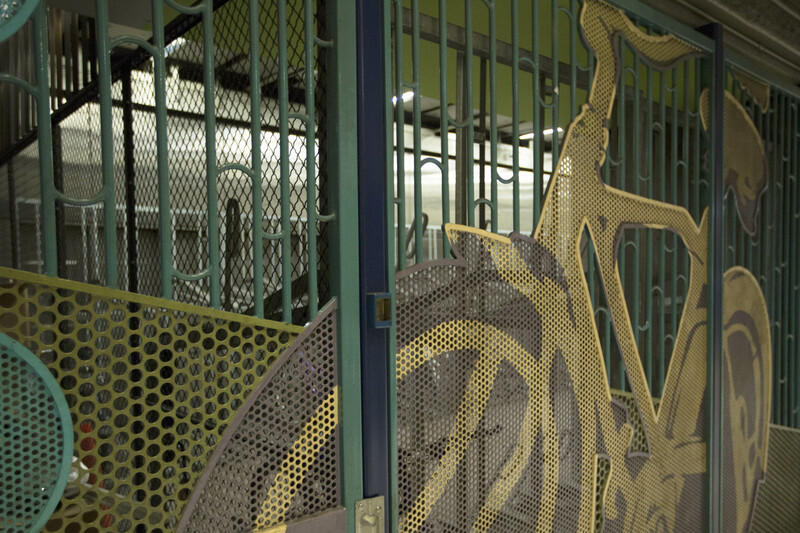 The easiest way to get there is to take the Blue & Gold Ferry from Pier 41. 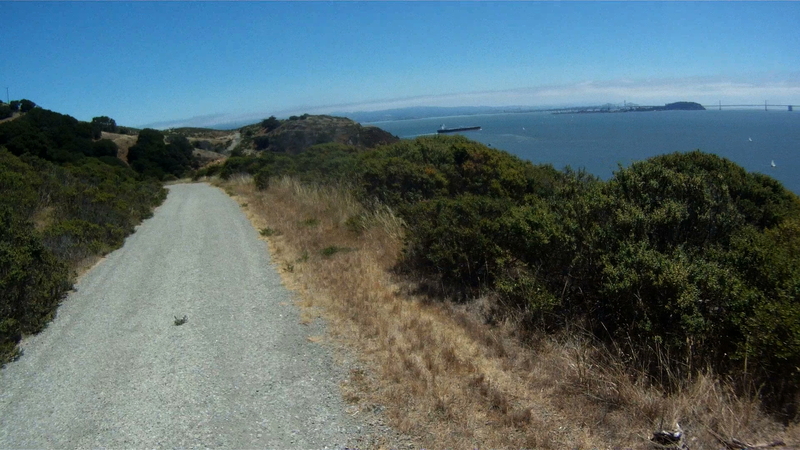 This ferry leaves at 9:45 am every day. 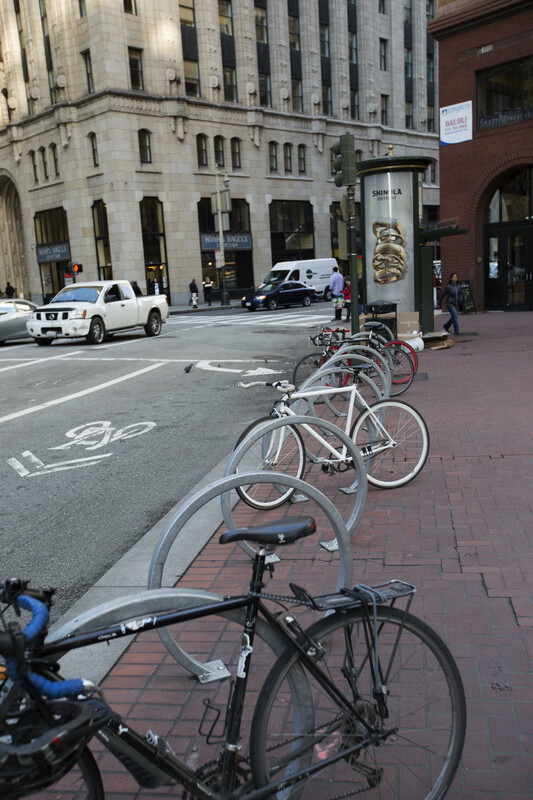 You can buy tickets at the box office at Pier 41 or online. 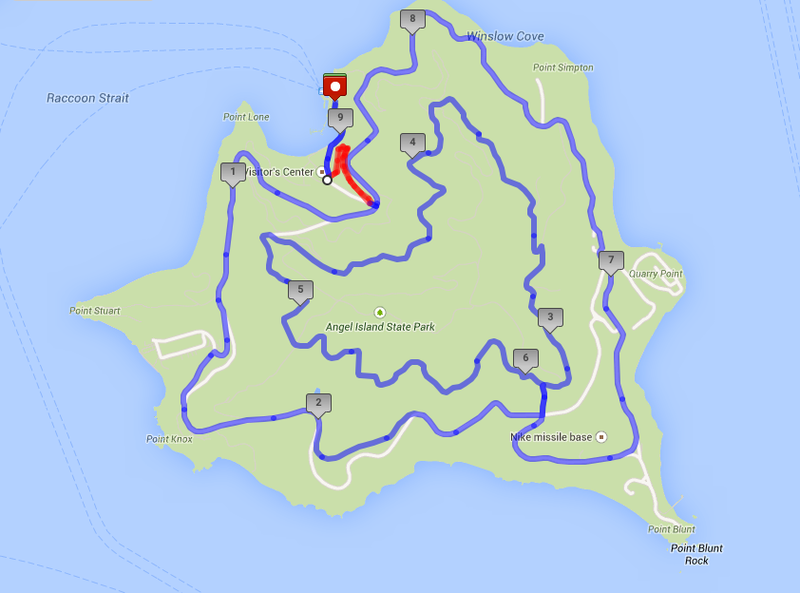 The second way to get to Angel Island is to take the Angel Island Ferry from Tiburon. 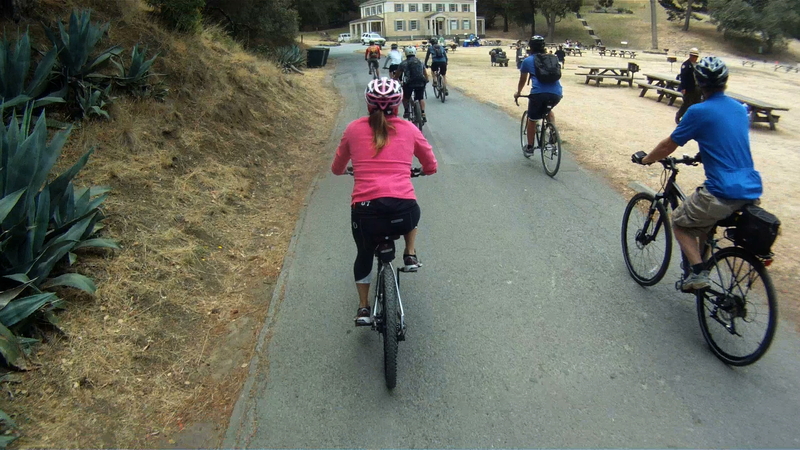 This ferry runs at a less regular schedule which varies throughout the year. 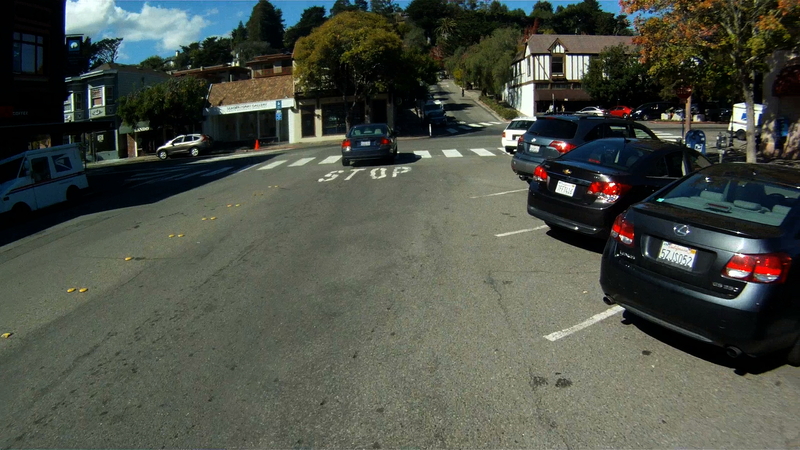 You can return to San Francisco either by taking the Blue & Gold Ferry directly back, or your can return to Tiburon, and return on a later ferry back from Tiburon. 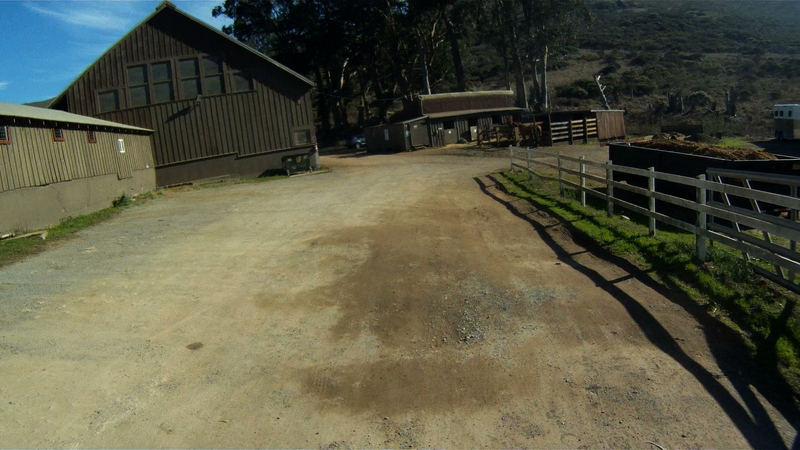 When you arrive at Angel Island, you dock at Ayala Cove. 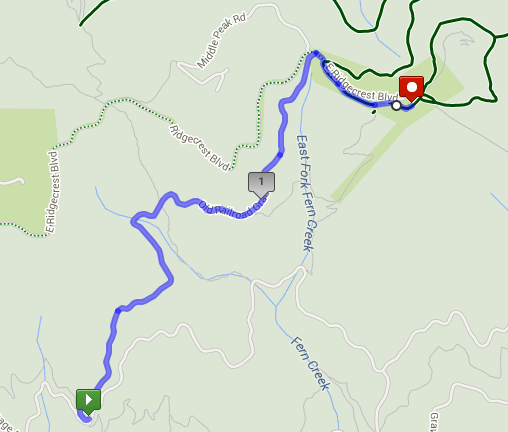 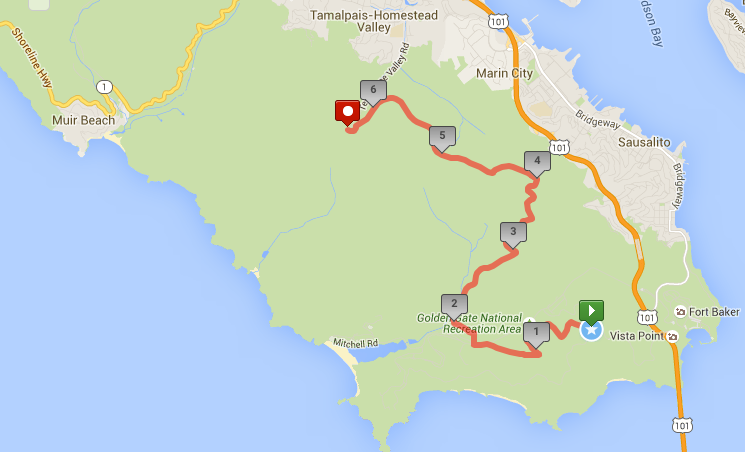 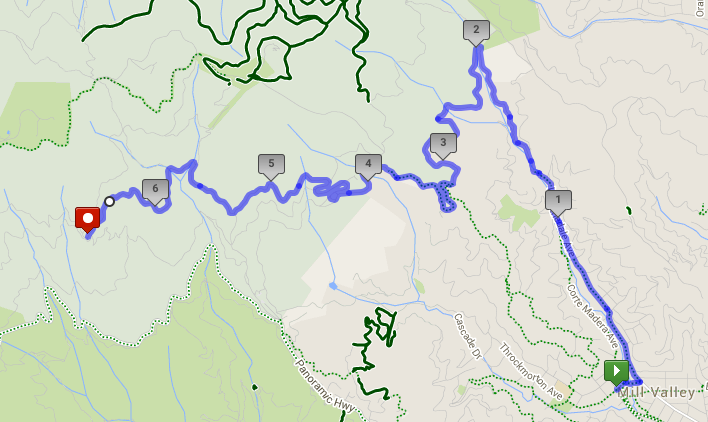 This route is a set of loops, so you begin and end at Ayala Cove. 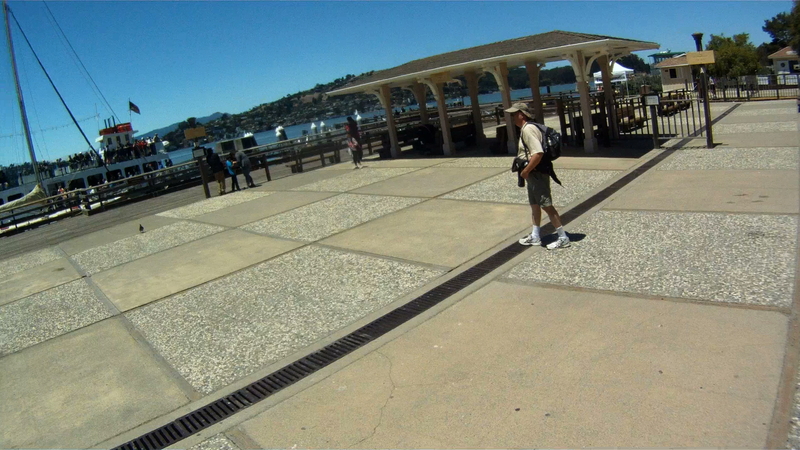 This is the dock where you catch the ferry to both Tiburon and San Francisco. 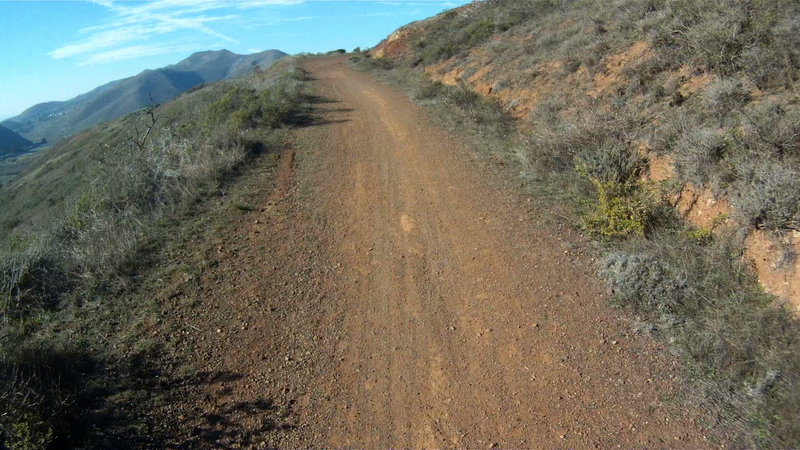 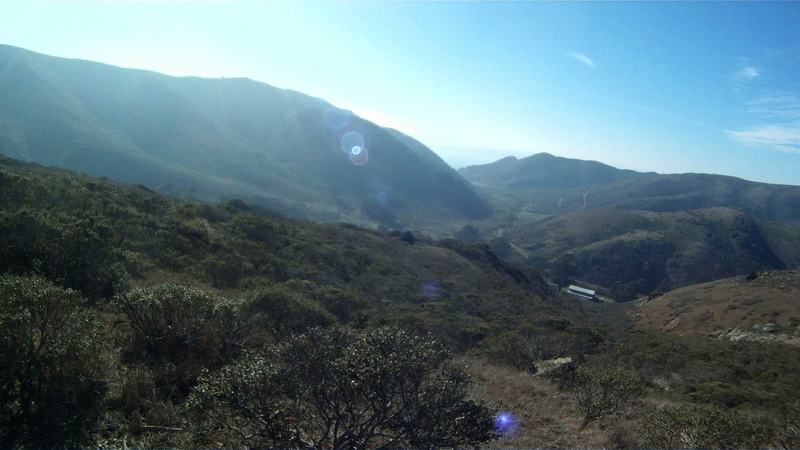 From Ayala Cove, follow the trail to the Visitor’s Center. 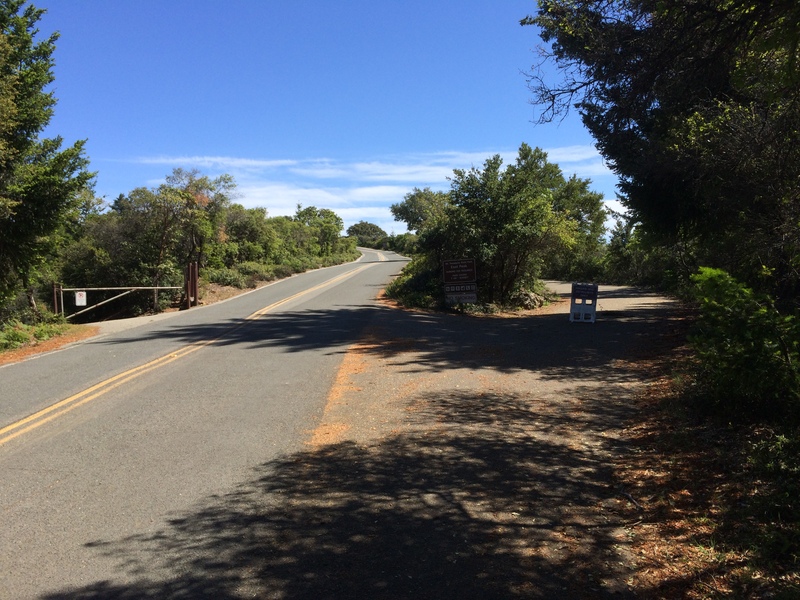 Bikes are not allowed on the pavement for a few hundred feet, so make a left onto the trial and follow it to the lower, paved route around the island. 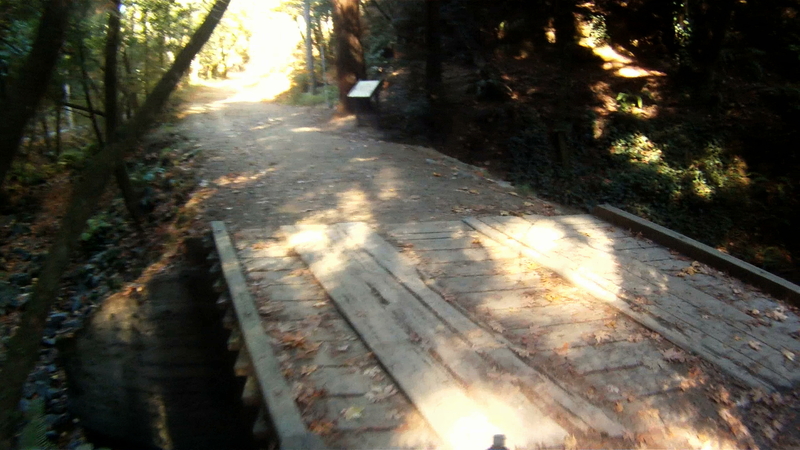 Approximately a mile and a half down the path, you encounter the trail to Camp Reynolds. 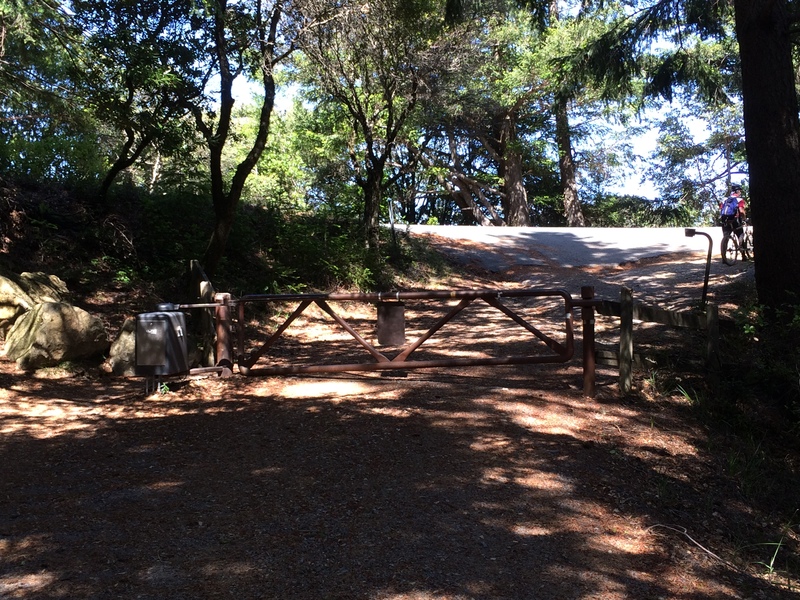 Camp Reynolds includes the brick barracks you see from Sausalito and the ferry. 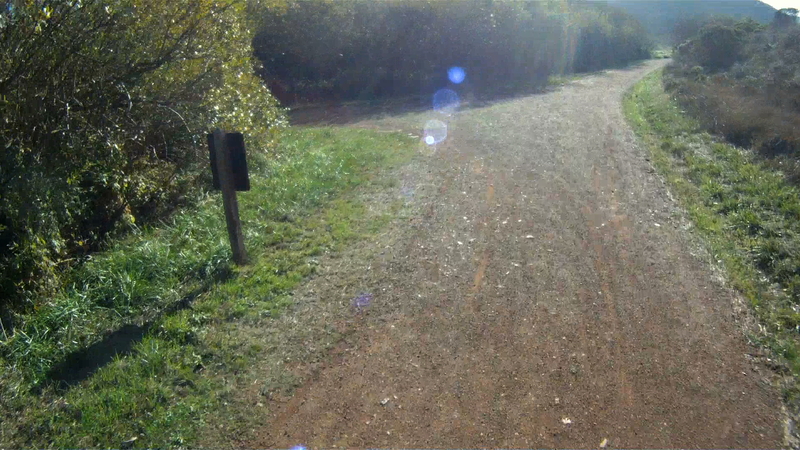 This is an unpaved trail leads down to the Camp and the water’s edge if you turn right at the fork. 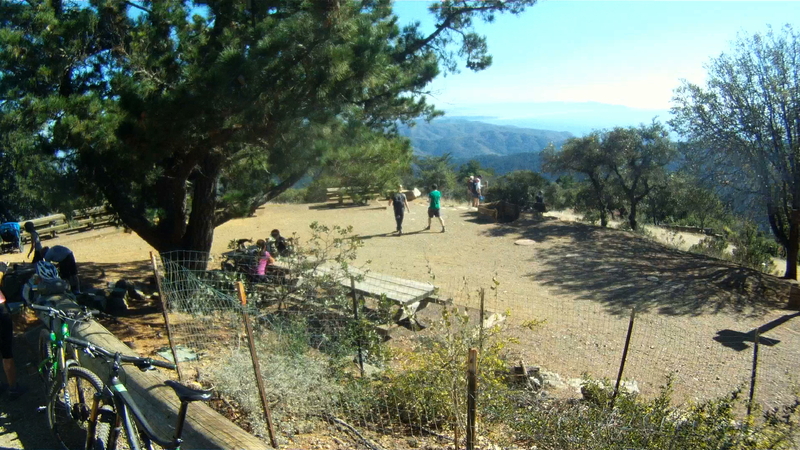 At the Camp, you can experience a civil war cannon shot around 1 pm each day. 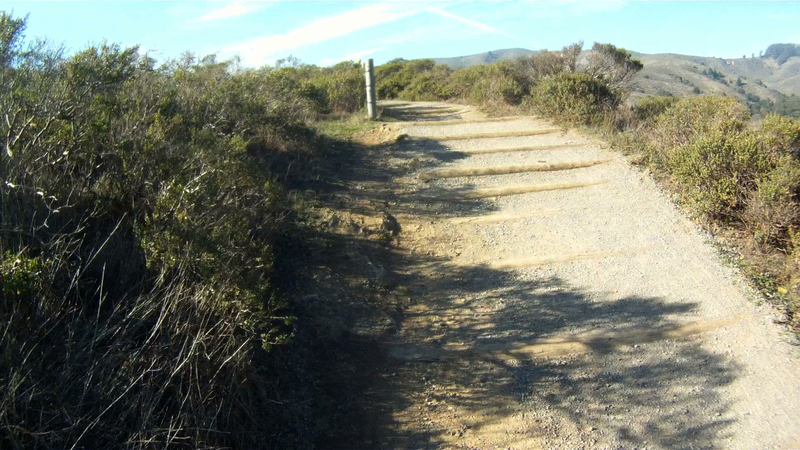 We prefer to continue along the path and turn left at the fork. 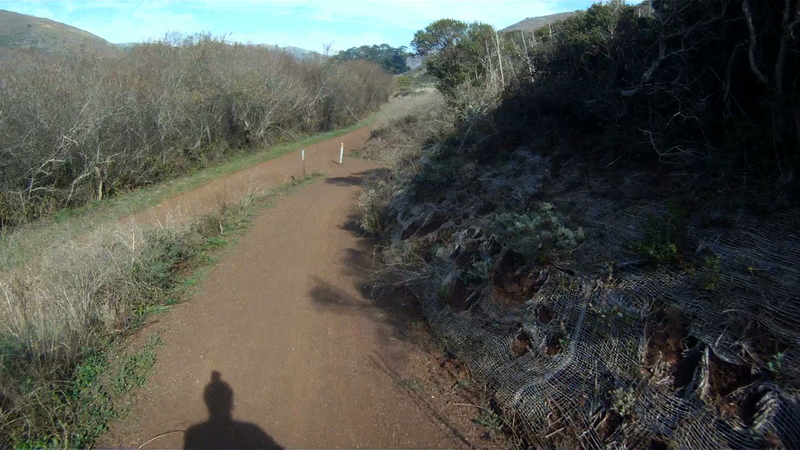 This unpaved trail leads back to the main loop shortly ahead. 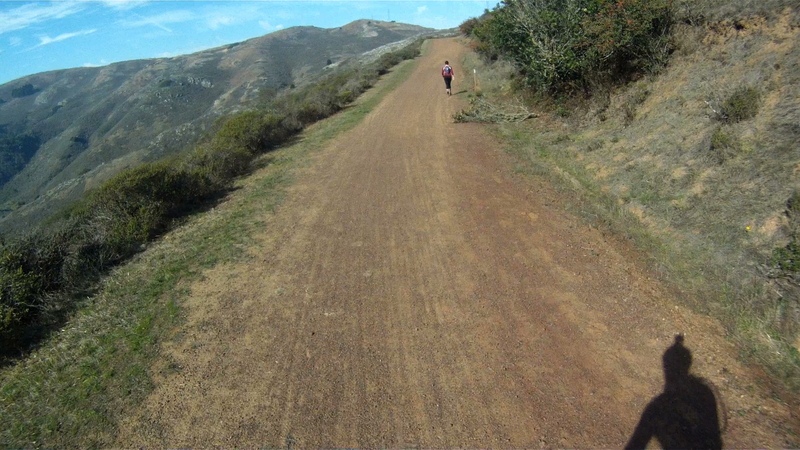 Back on the path, once you crest the hill you get amazing sweeping views of San Francisco from the Golden Gate Bridge to the Bay Bridge. 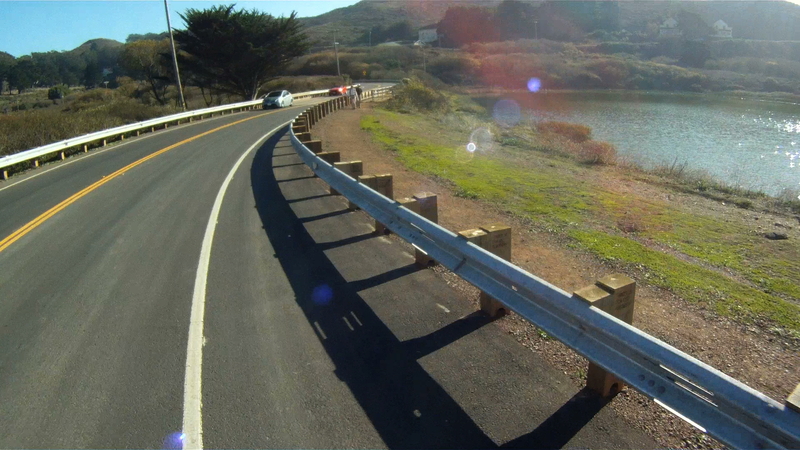 Make sure to stop and take a few pictures, this is really one of the best spots on the island. 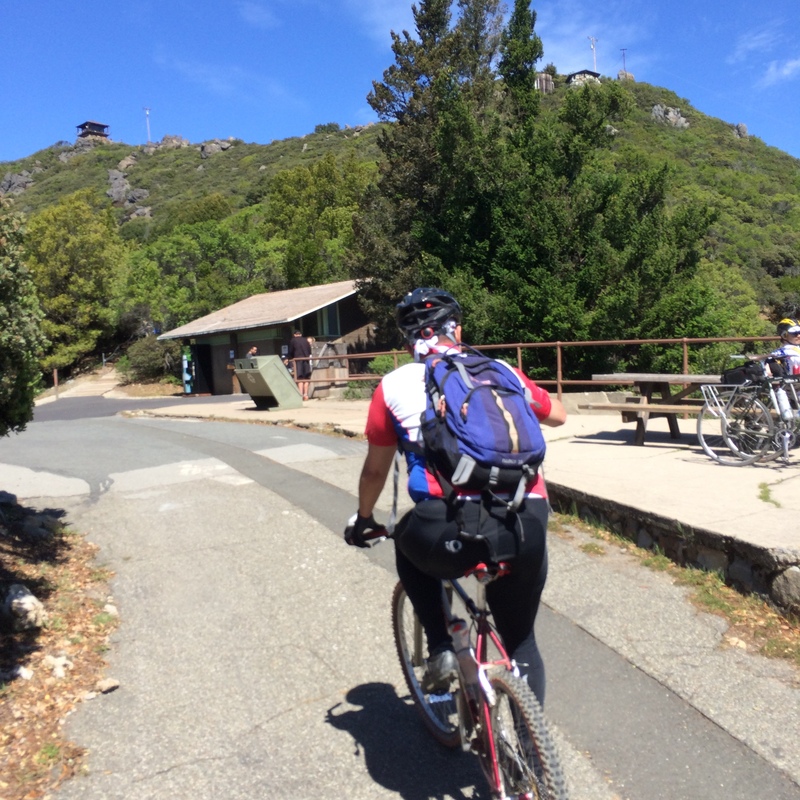 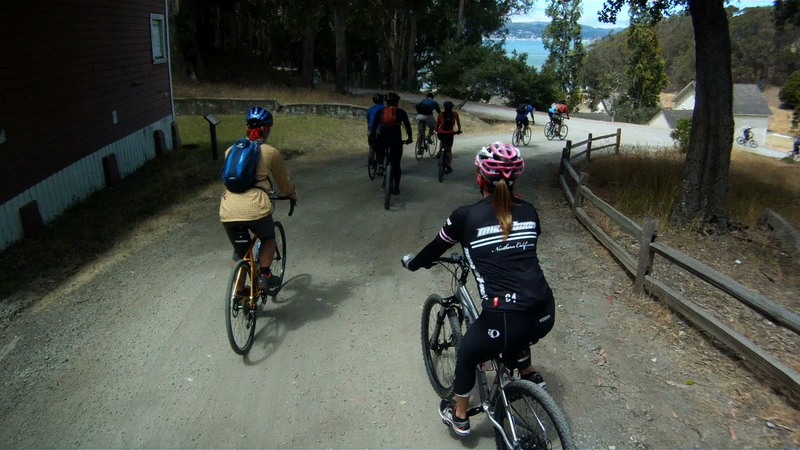 Continuing along the path, you can get your next round of trail riding on your way up to Battery Drew. 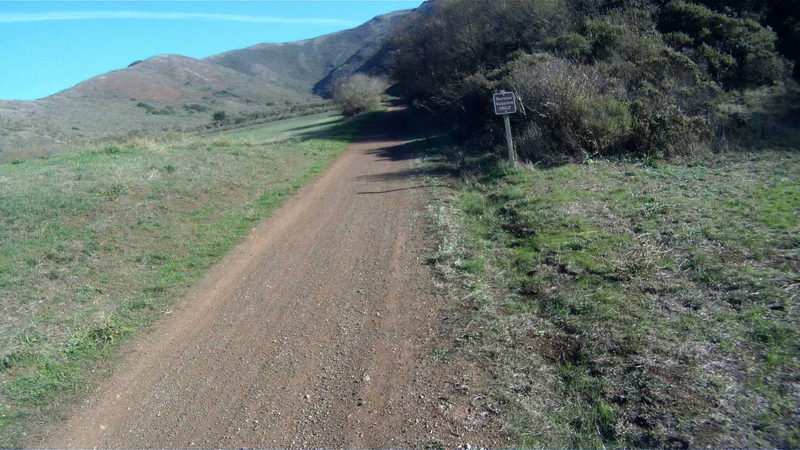 To get there, take the left fork and head up the hill. 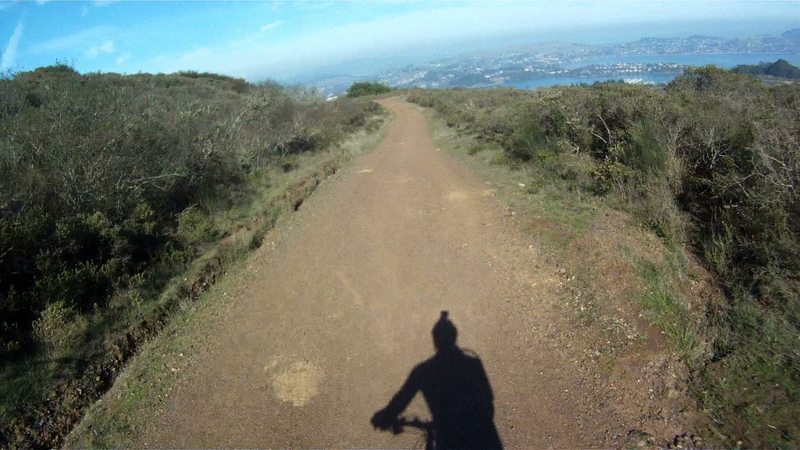 Keep climbing and you’ll get some more great views. 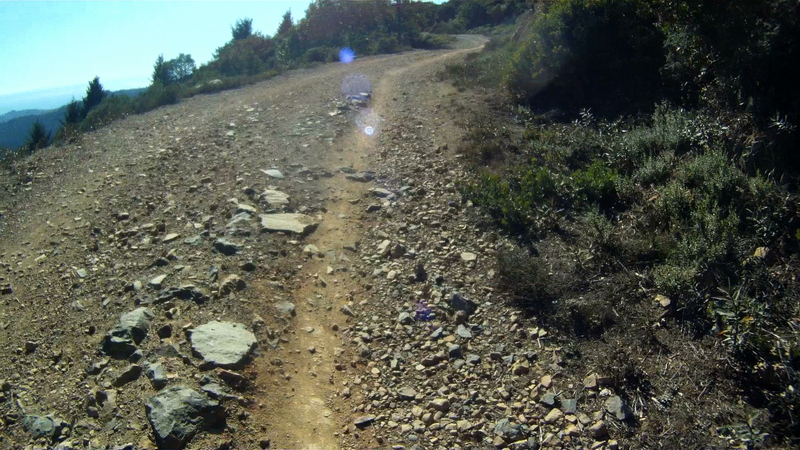 Your next taste of an off-raod downhill is next up. 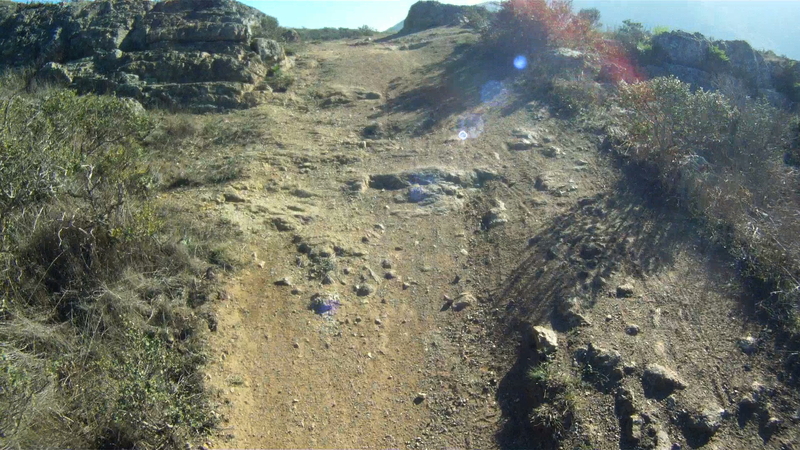 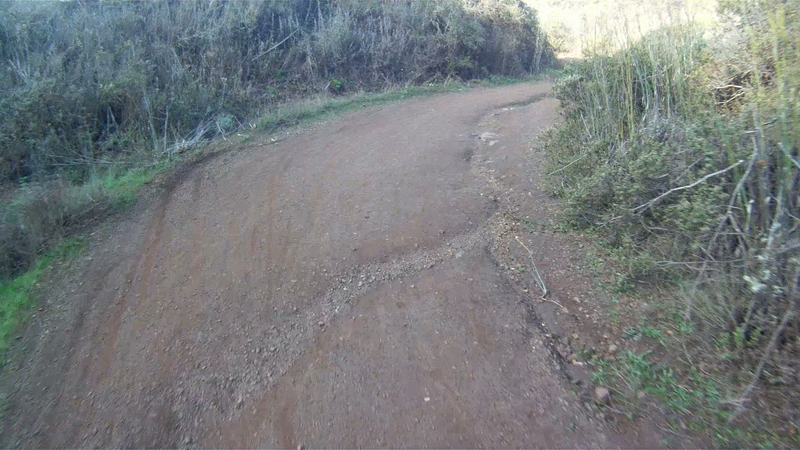 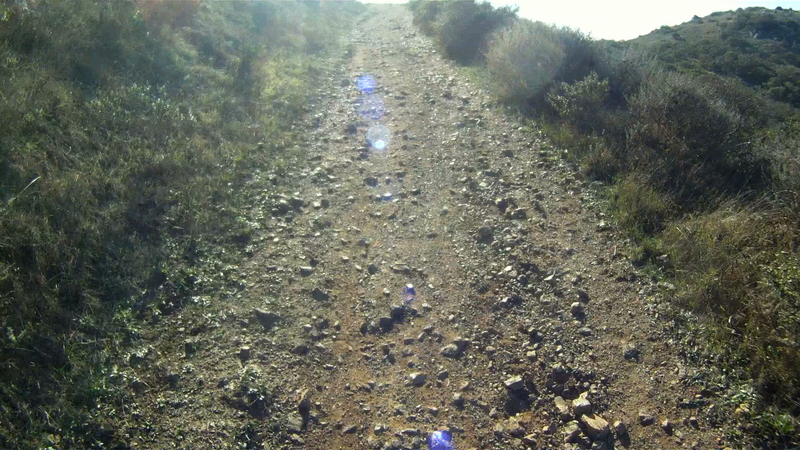 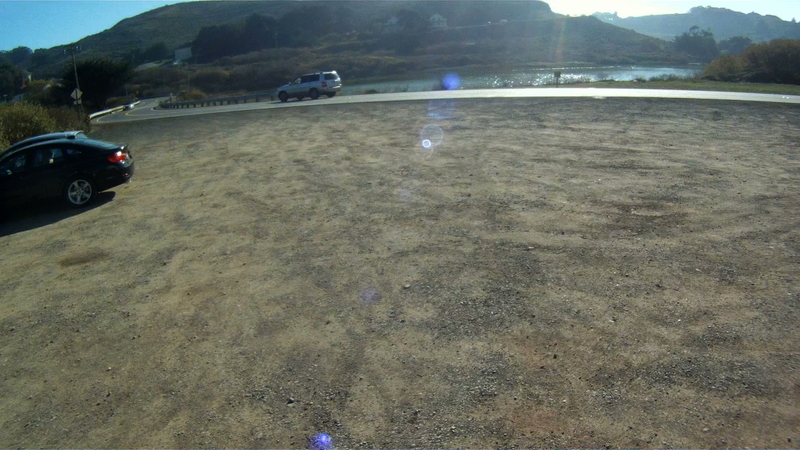 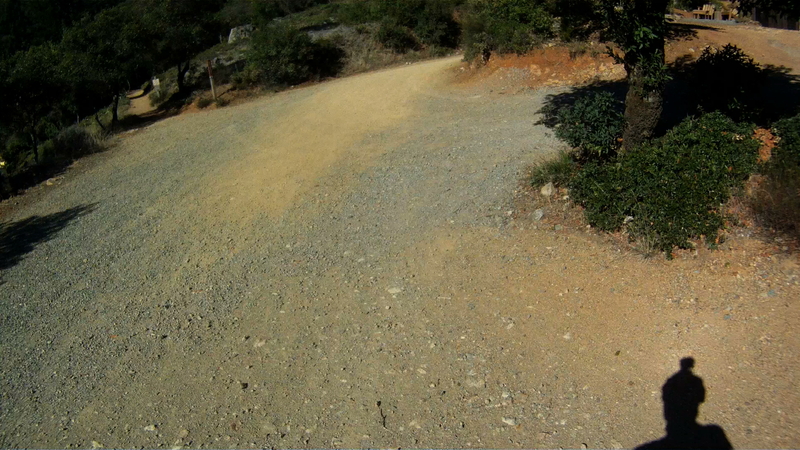 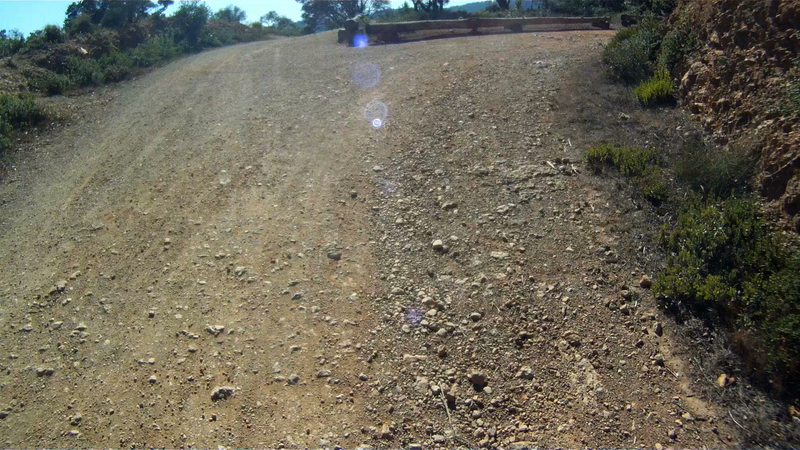 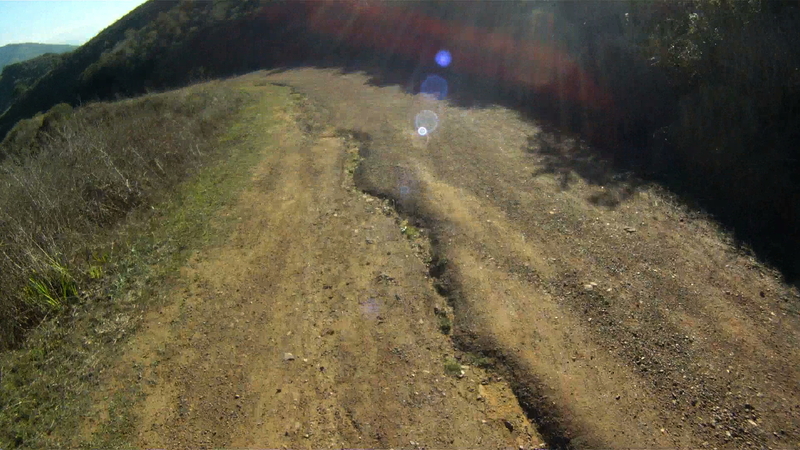 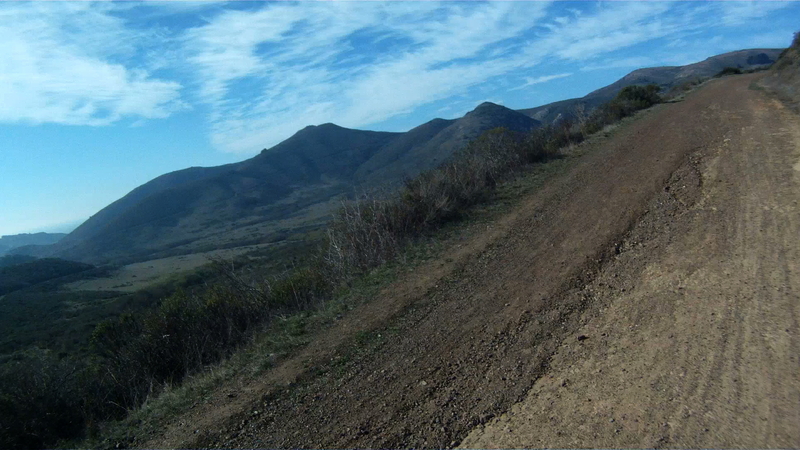 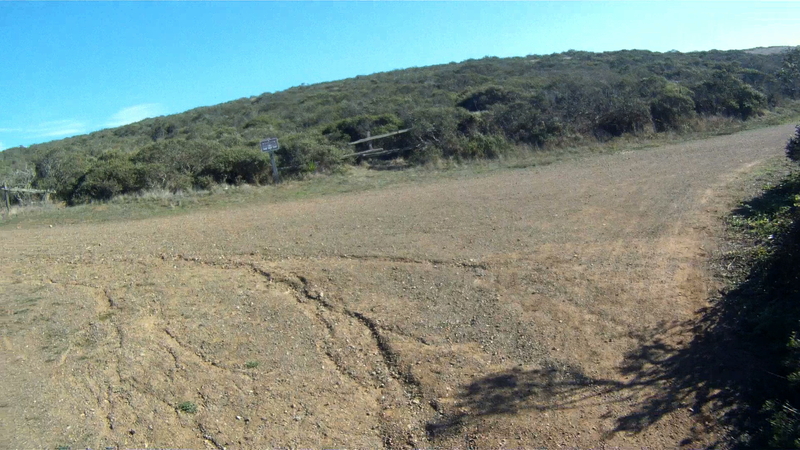 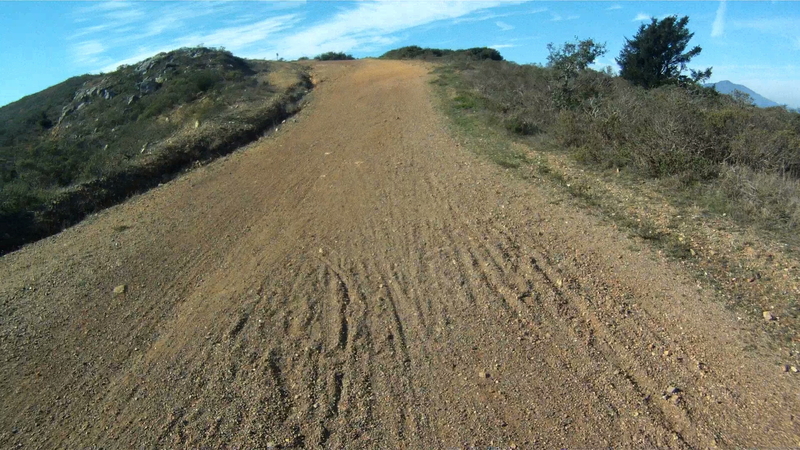 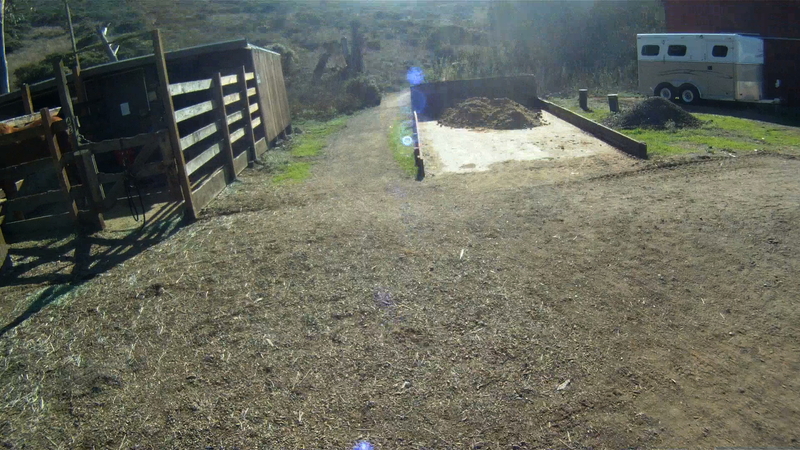 Its got some loose gravel, some dirt and an nice fast slope. 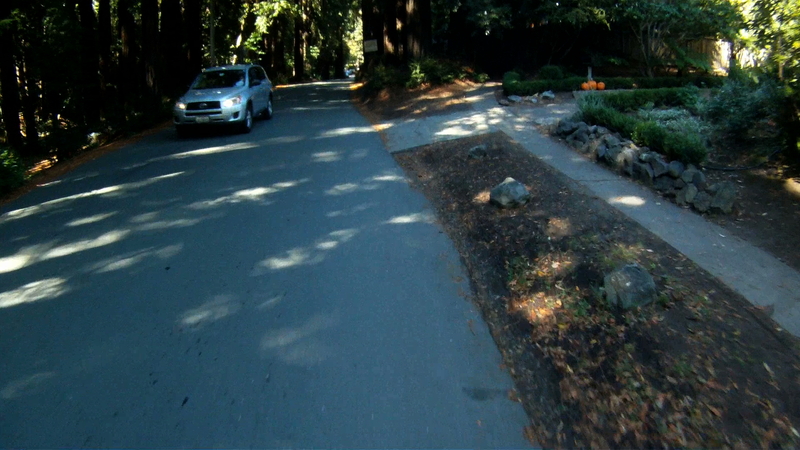 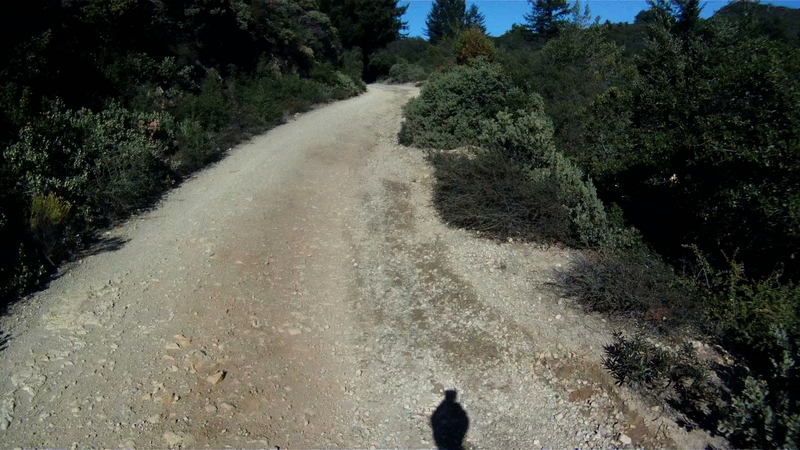 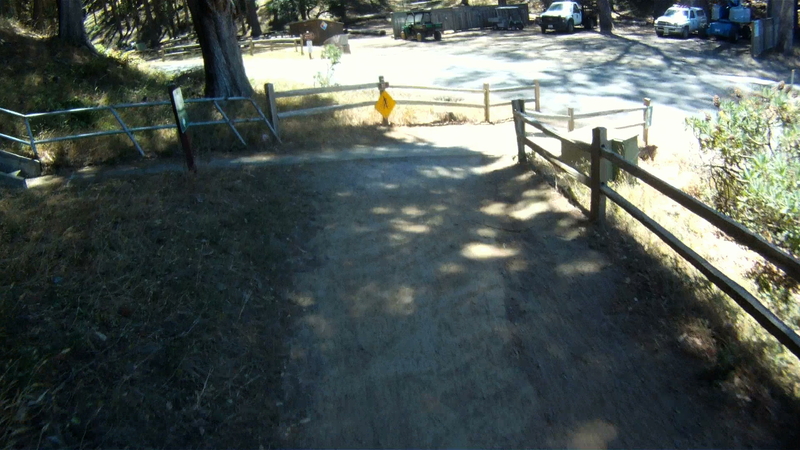 A short ride back along the the path and your entrance to the upper off-road trail is on the left. 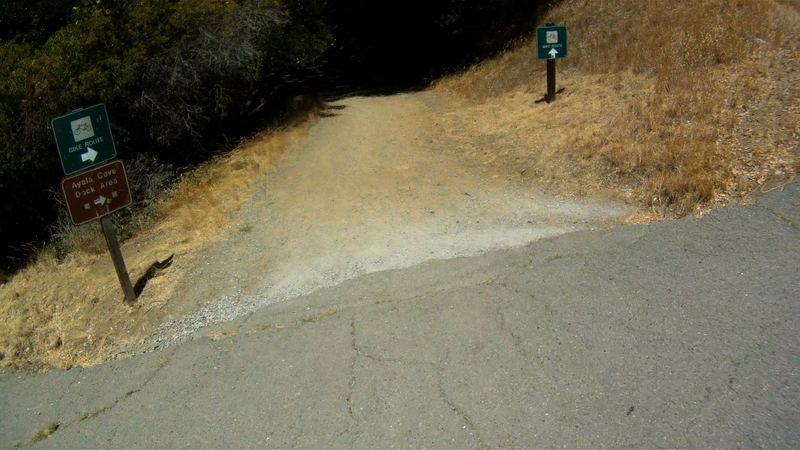 The entrance is a steep path with loose rock, so get a head of steam and power your way to the top, where you’ll immediately turn right. 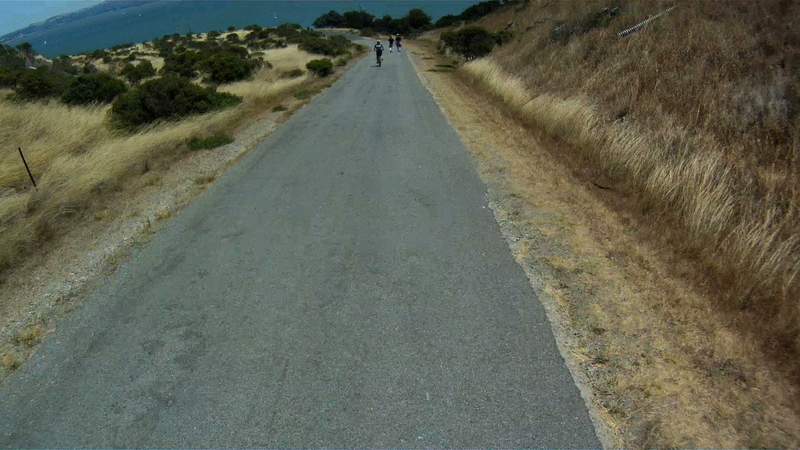 Follow the upper path as it rolls along with eastern shore of the island with many of the island’s buildings below. 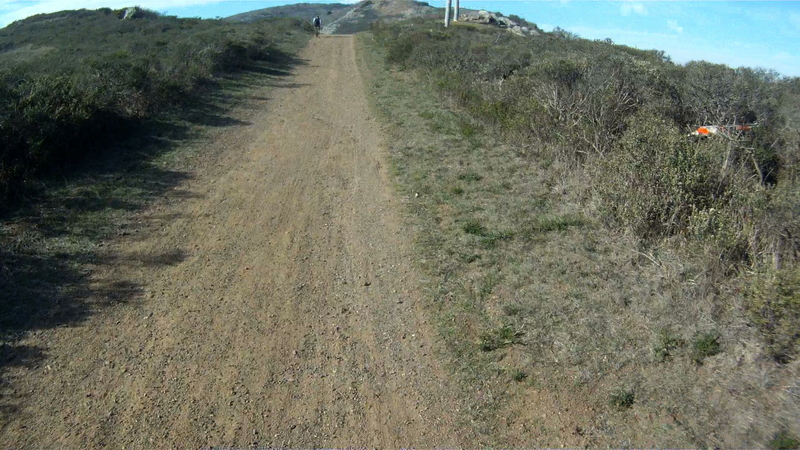 About halfway along the eastern side, the path makes a sharp left up the hill, away from the picnic area. 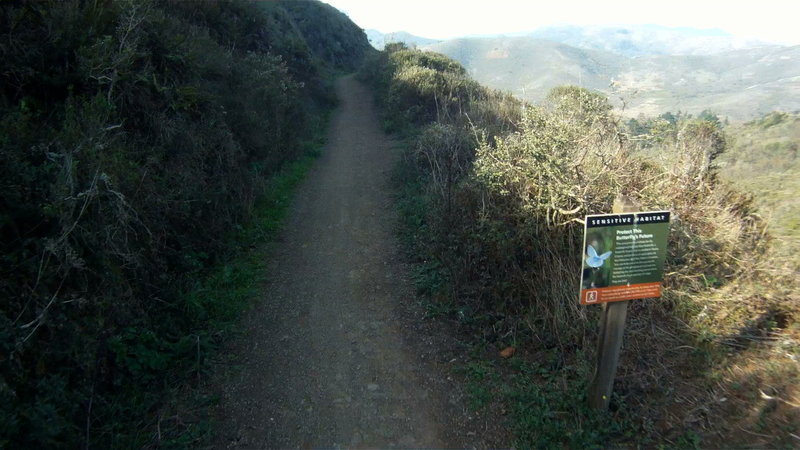 Climb past the water housing area, and watch for deer here. 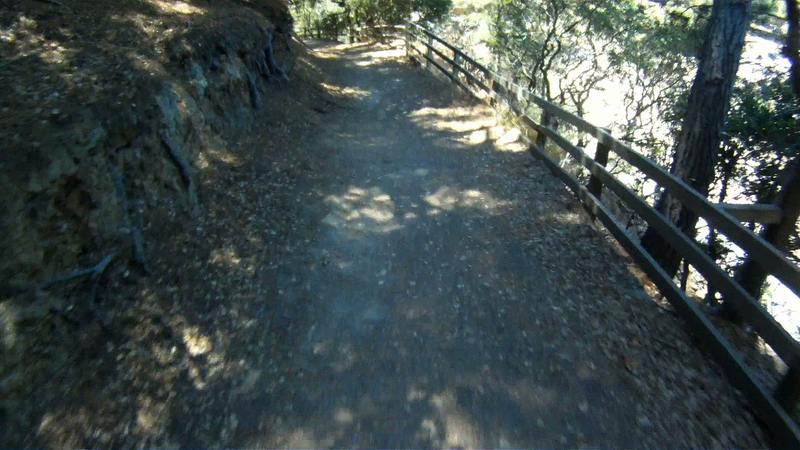 Just past then fence the path takes another left. 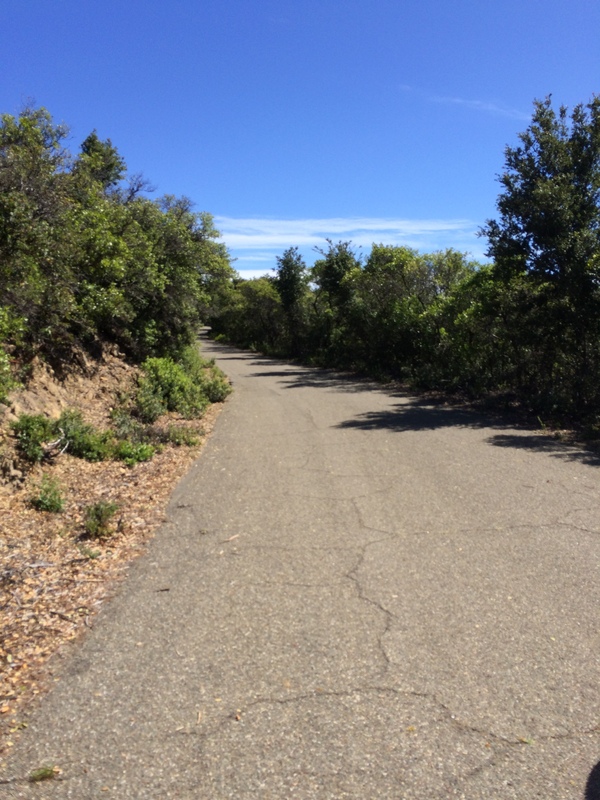 Continue along the gently rolling path and enjoy the gorgeous scenery as you traverse the northern side with Tiburon across the channel. 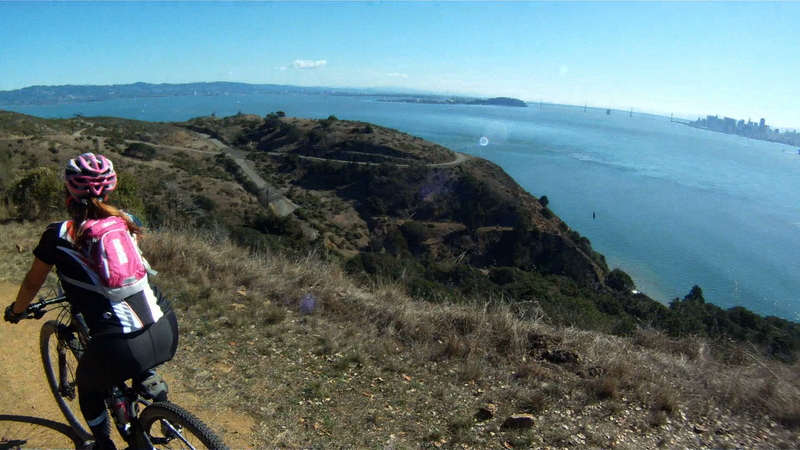 As you approach the western side of the island, you’ll see Sausalito and the Golden Gate Bridge. 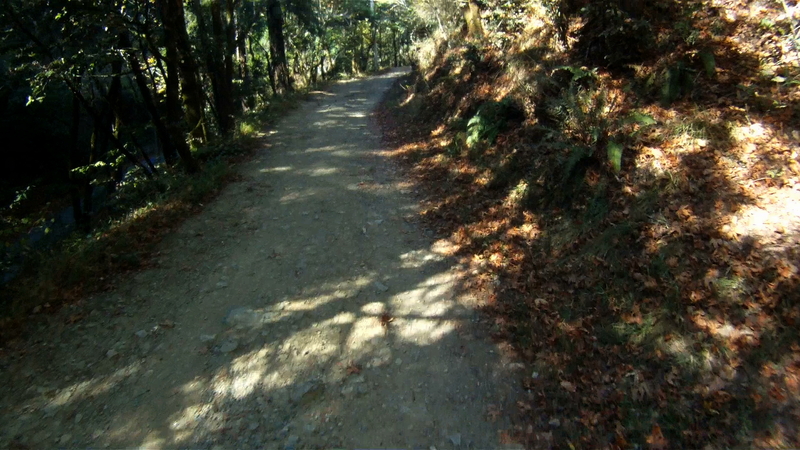 The path rolls downhill as it leads you back to the return to the lower main road. 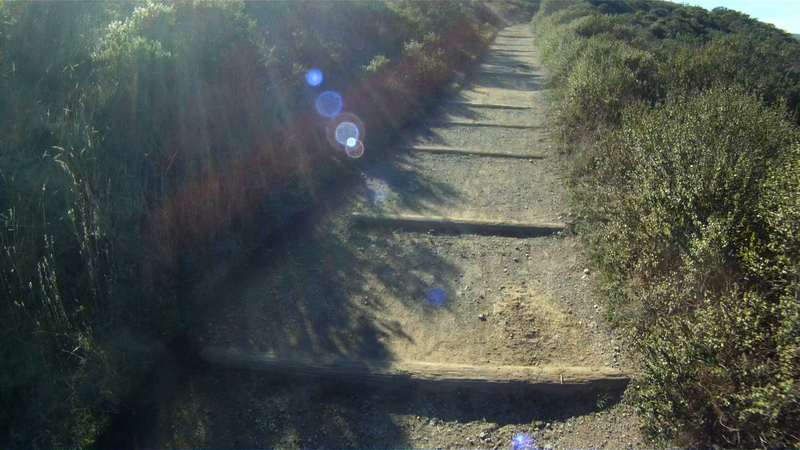 You can ride the upper path again if you are up for it, or you can turn right and go back to complete the lower path. 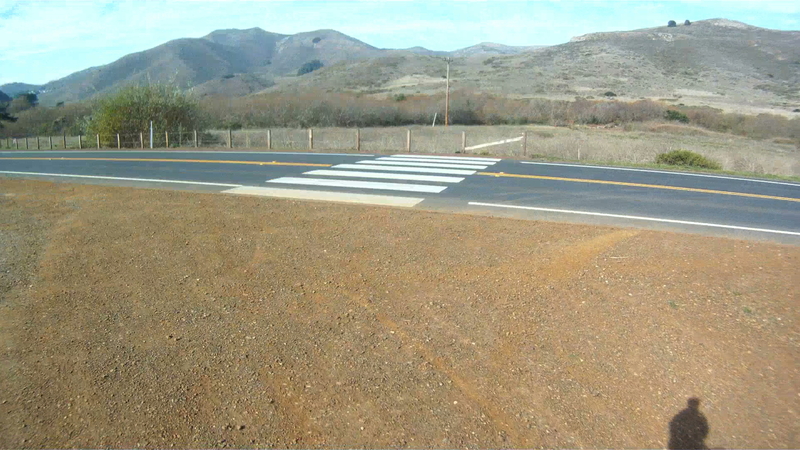 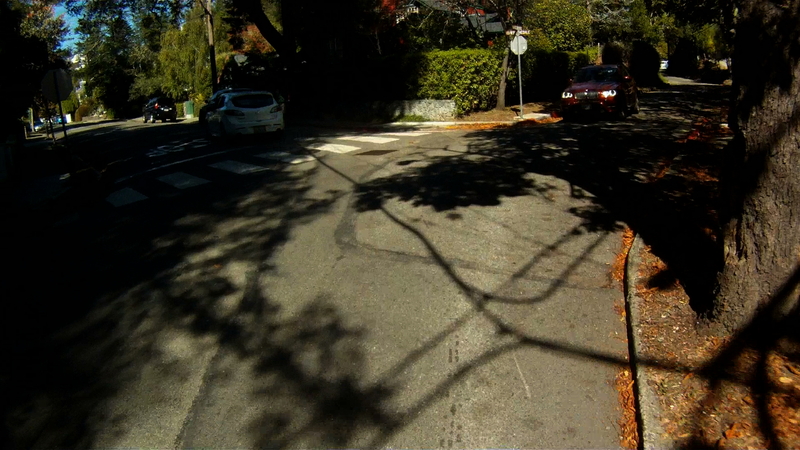 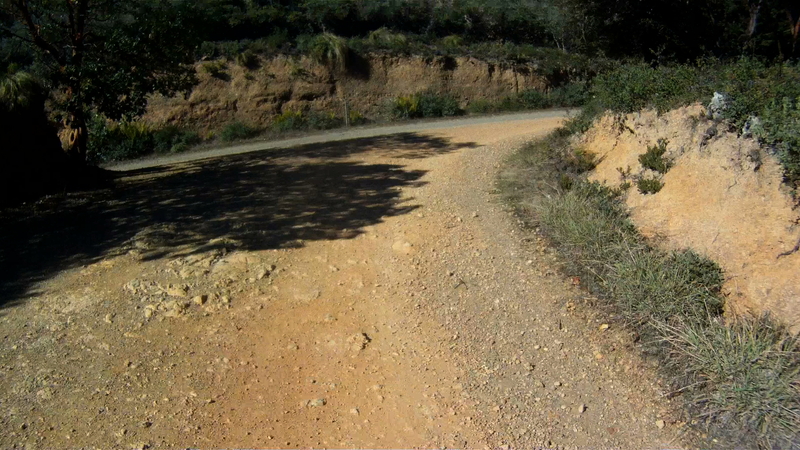 When you are ready to head back to the lower path, turn right down the hill and continue straight at the intersection. 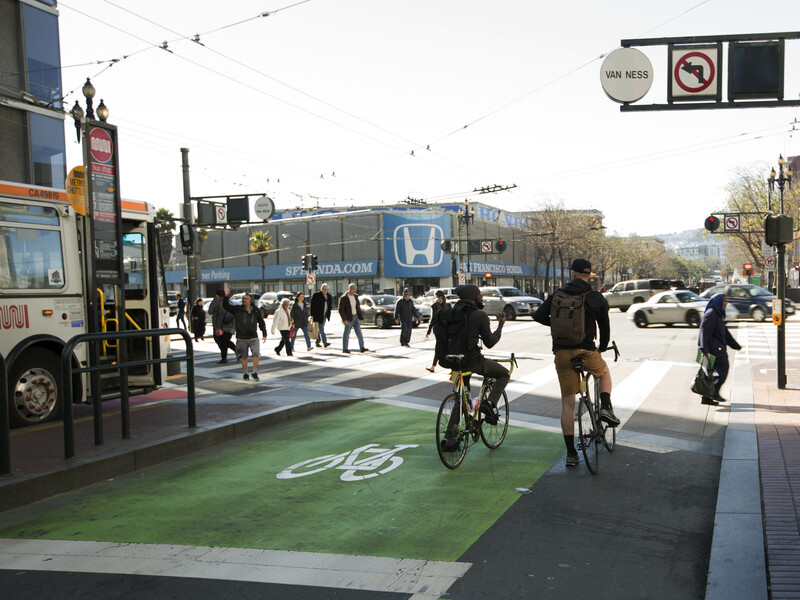 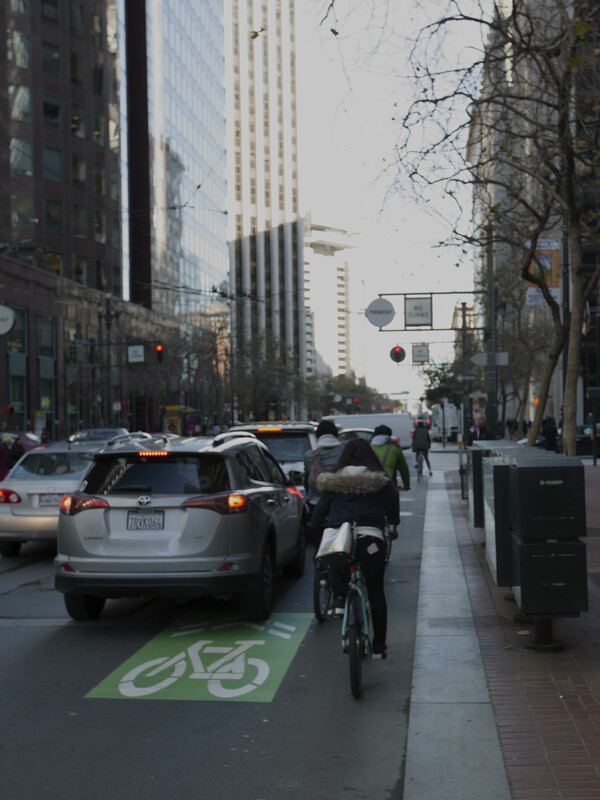 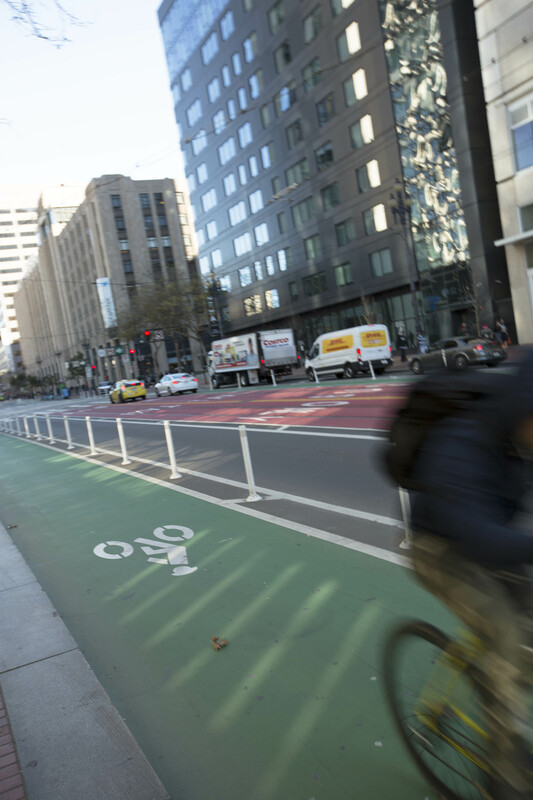 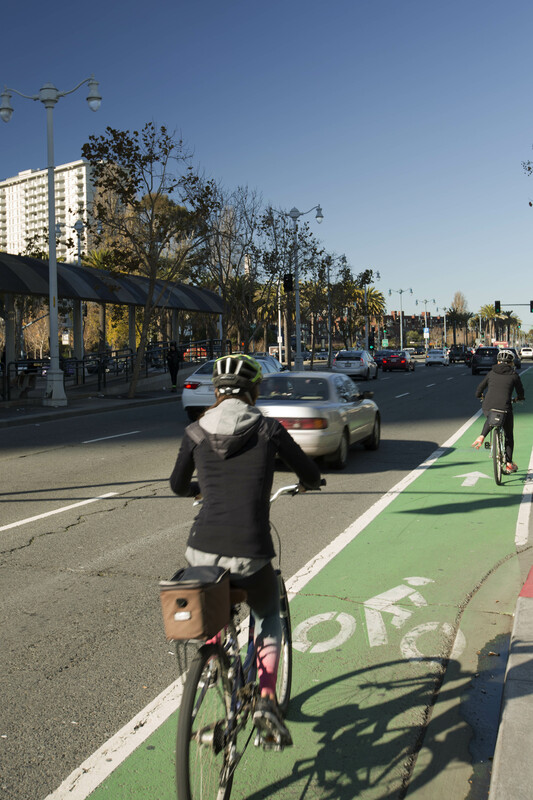 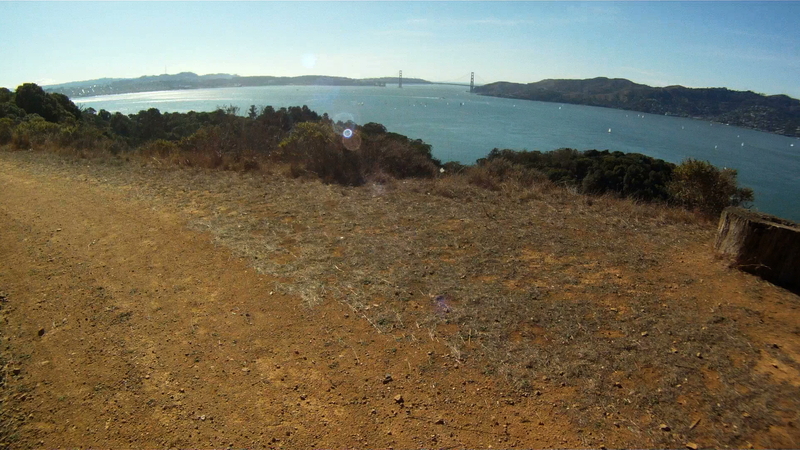 You’ll get more sweeping views of San Francisco from the Bay Bridge to the Golden Gate Bridge. 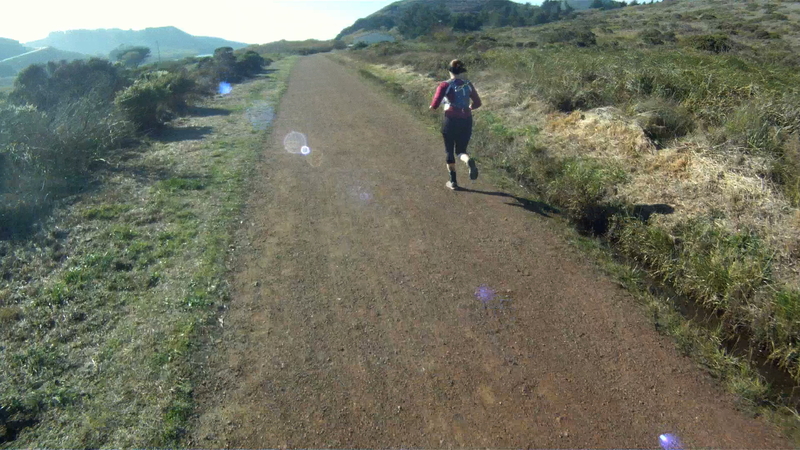 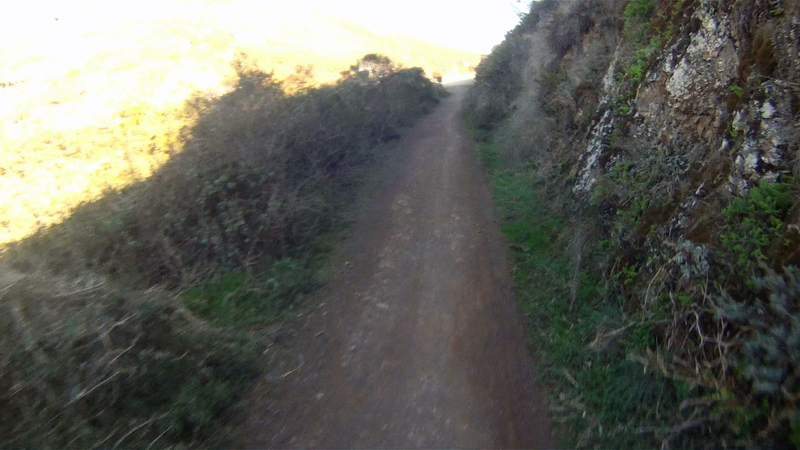 A short way down the path is the best paved downhill of the day. 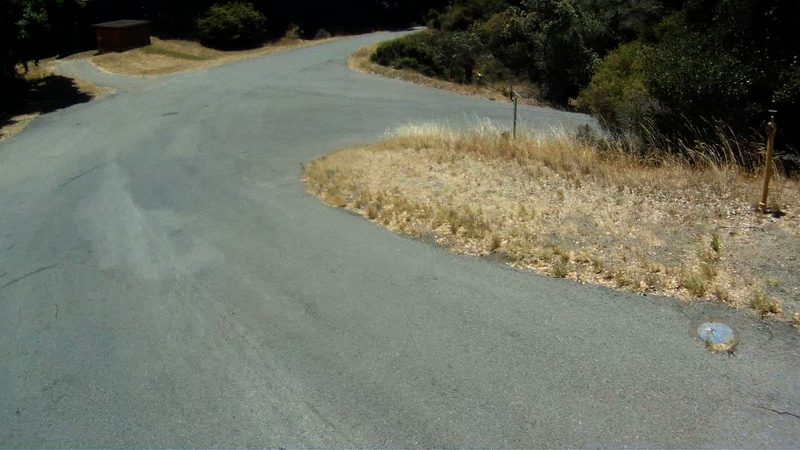 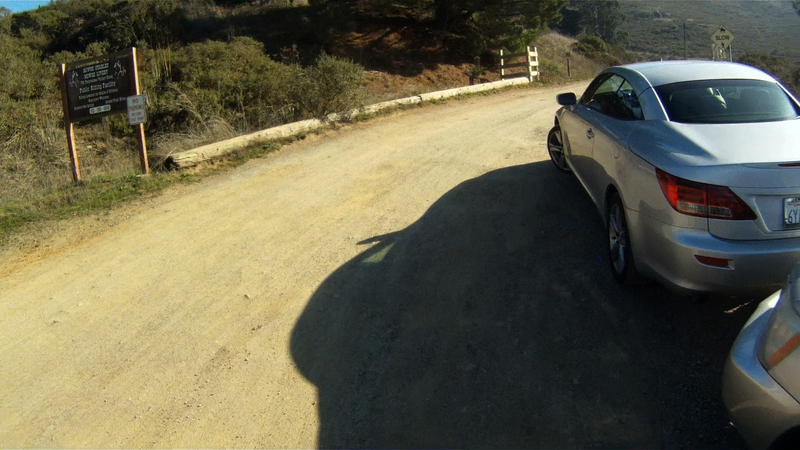 It’s a quick descent with a curve to the left at the bottom where the road forks. 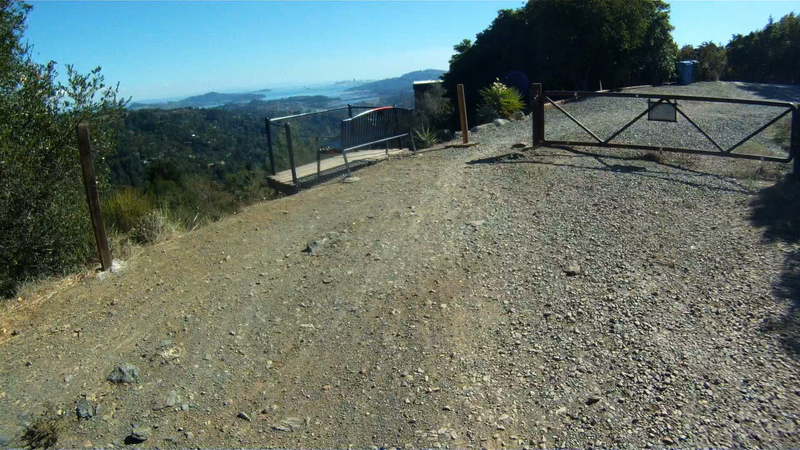 Quarry Point is down the road on the right. 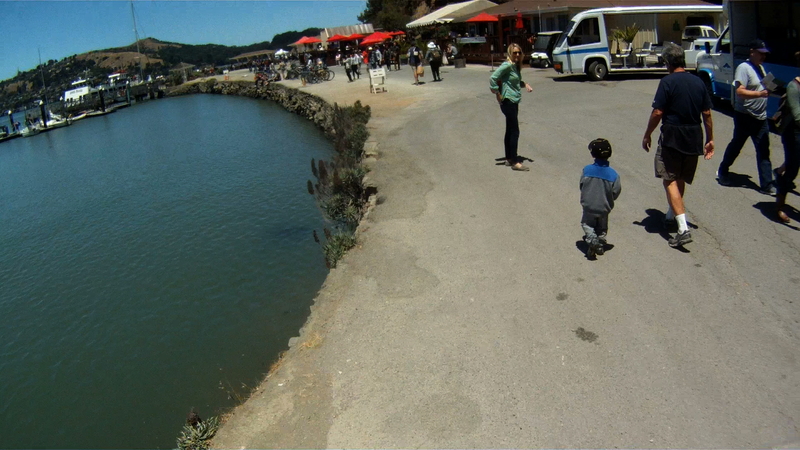 You’ll see housing barracks on the left of the main path and a dock lower down the hill to the right. 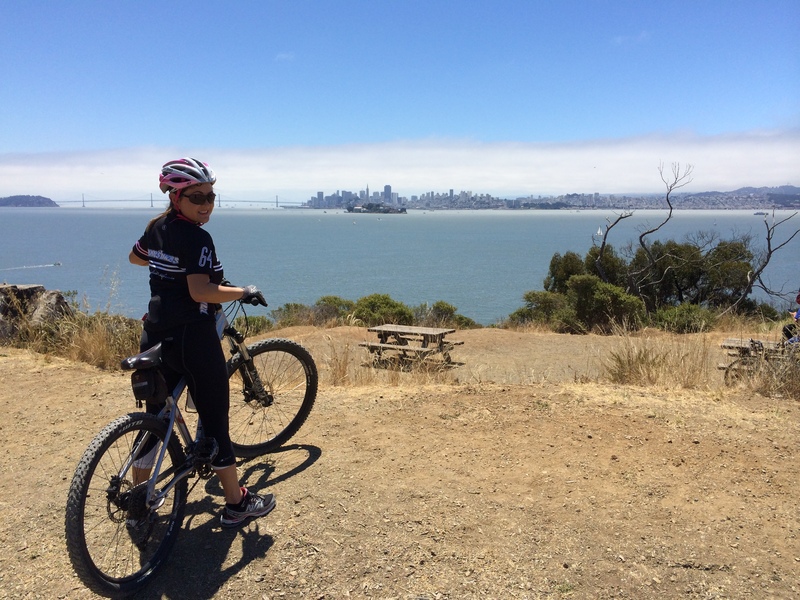 This part of the island was a rock quarry from 1850 through 1922 and used to construction buildings from Alcatraz to Fort Point and even the California Bank building in the Financial District of San Francisco. 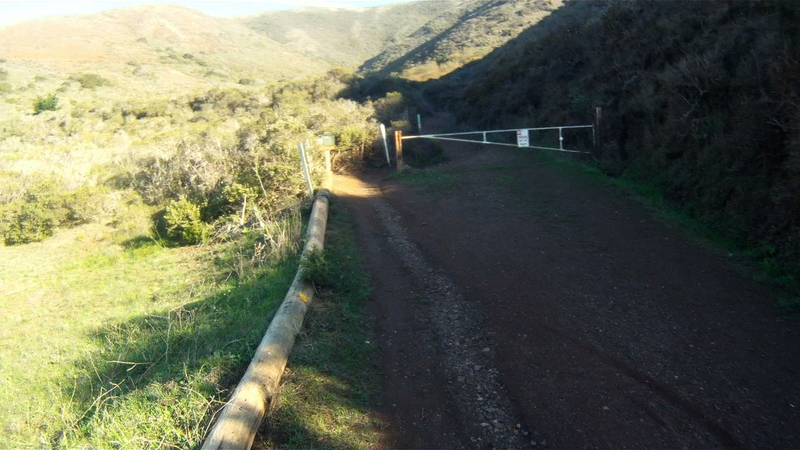 Further along the path you’ll pass by the Immigration Station. 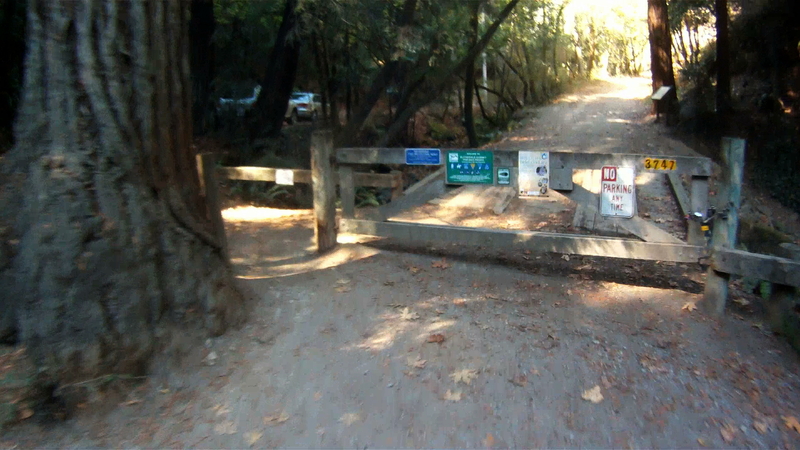 You can go for a stroll or take a tour of the Immigration Station. 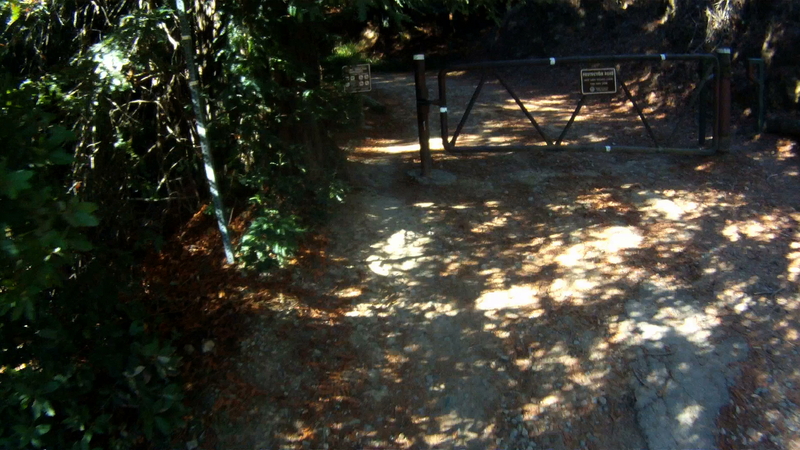 This immigration station was in use from 1910 thought 1940. 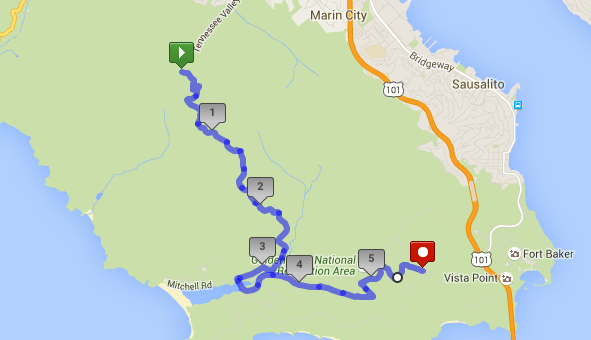 The rest of the route is another 1.5 miles of rolling path back to Ayala Cove. 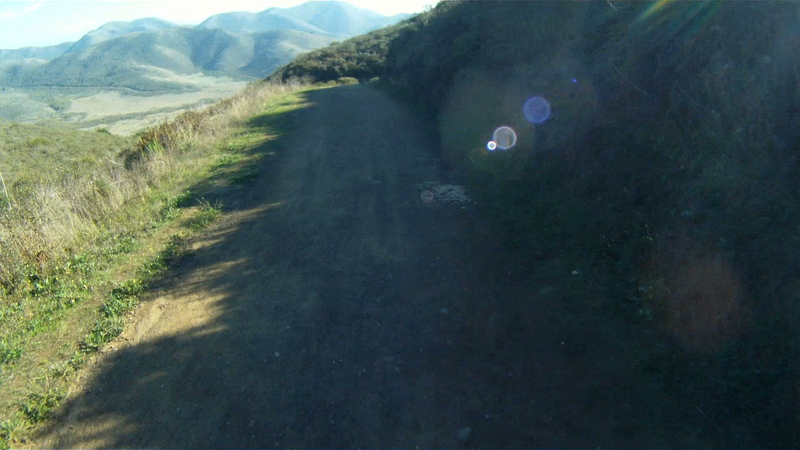 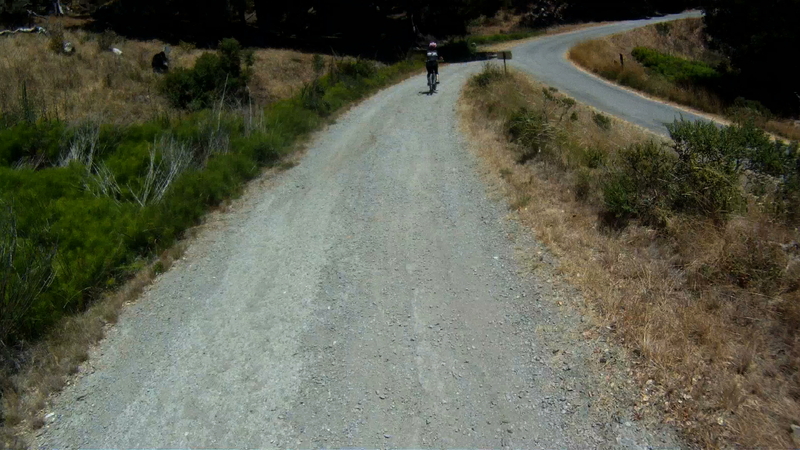 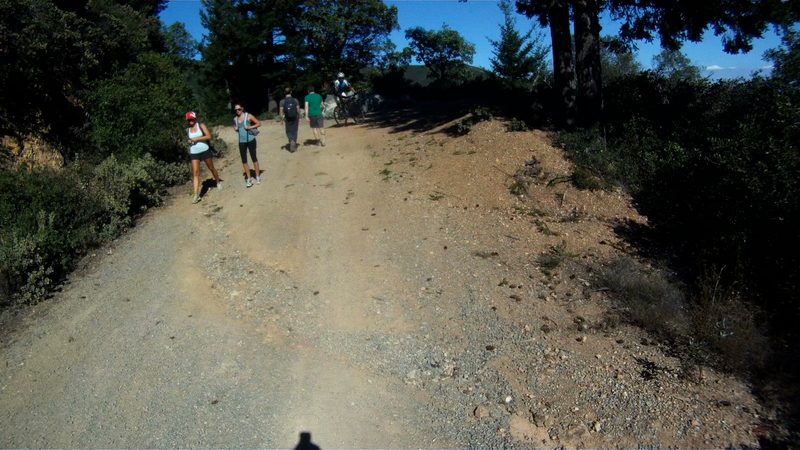 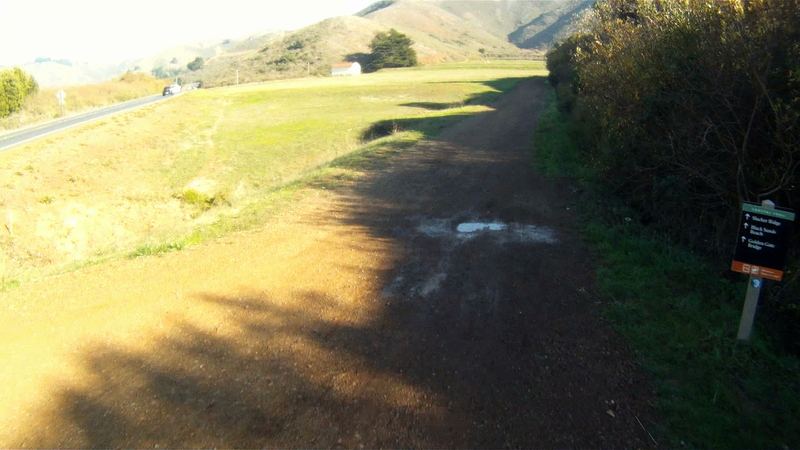 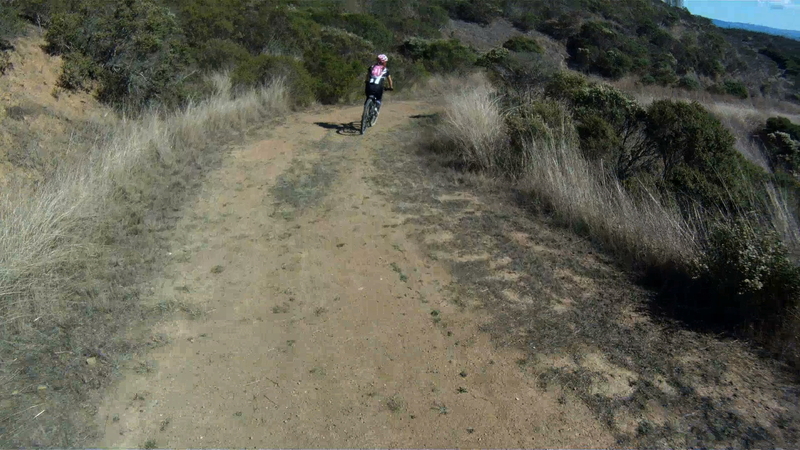 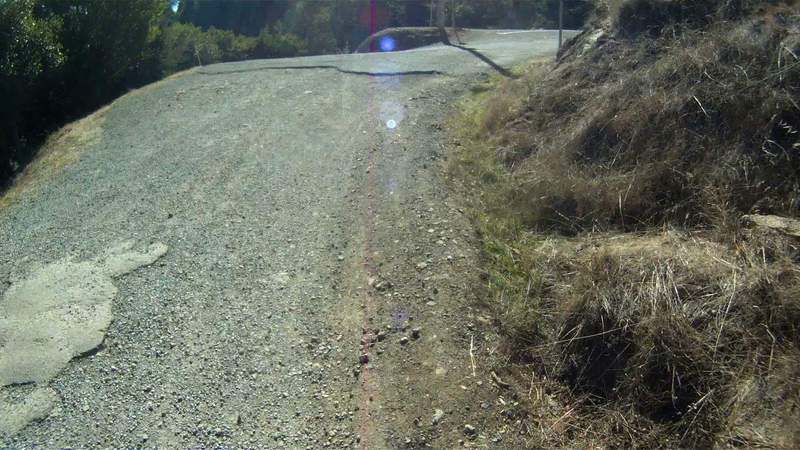 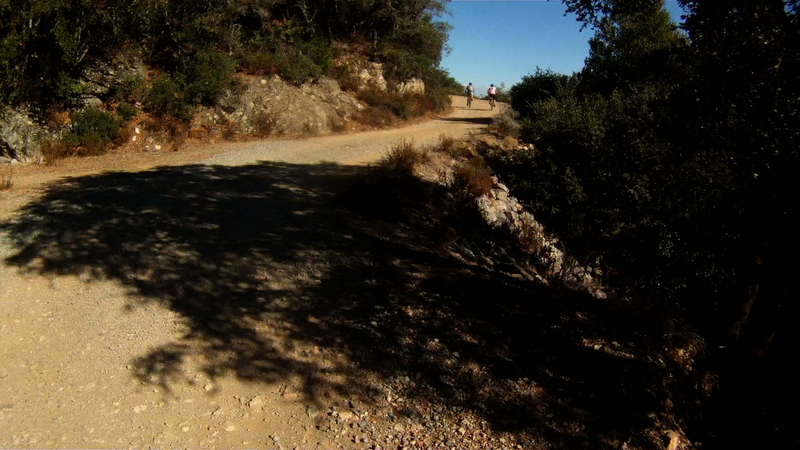 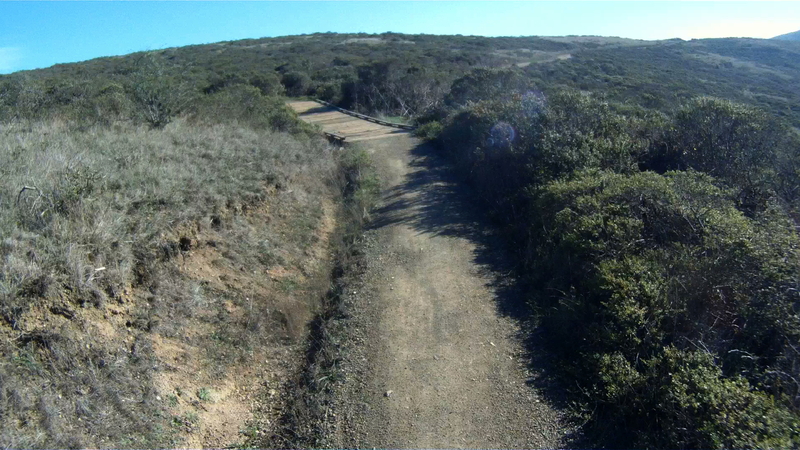 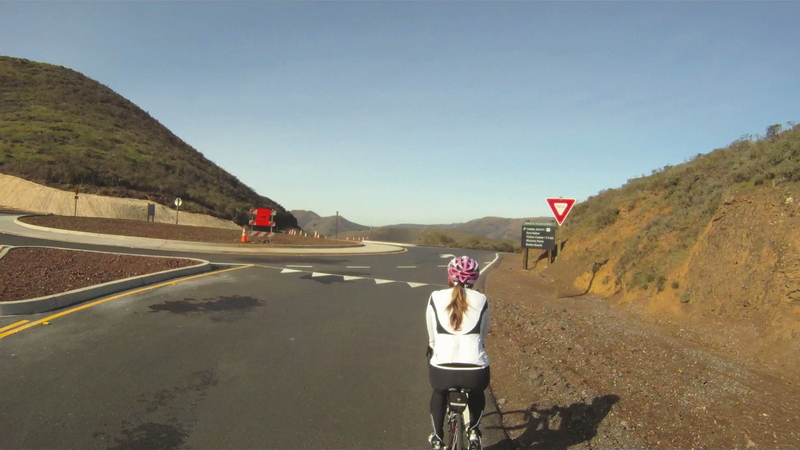 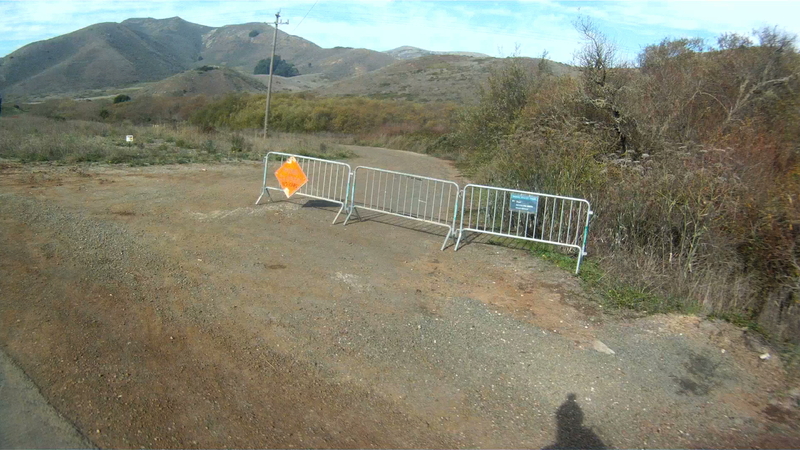 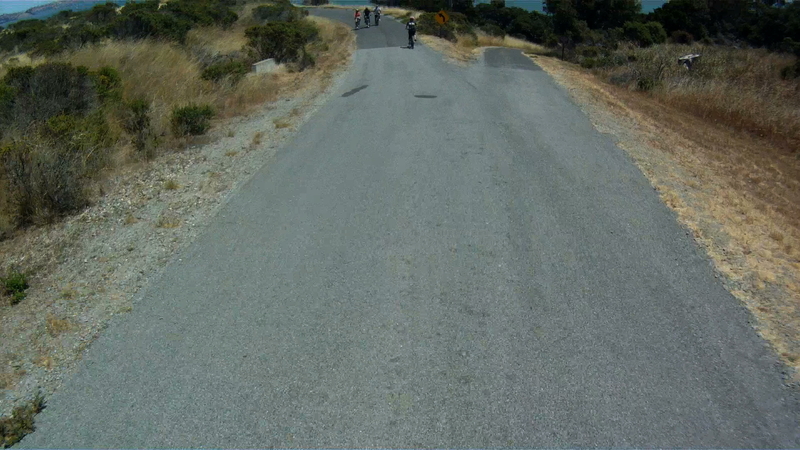 Watch for the entrance back to the bike route, it is a sharp right after a quick downhill. 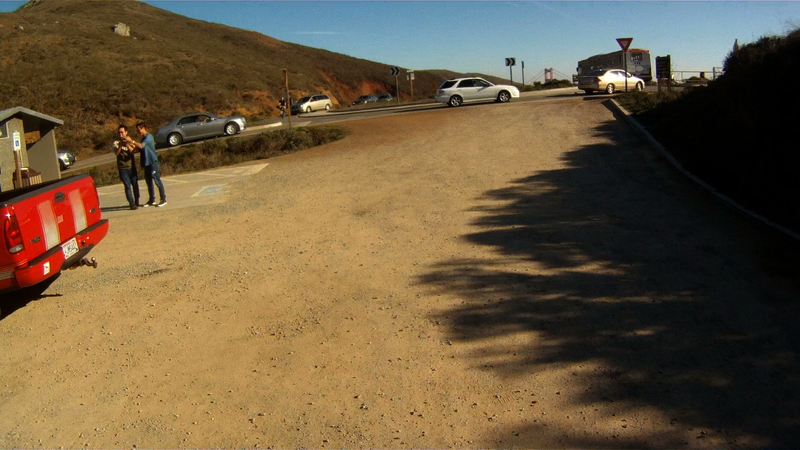 If you miss the turn, no big, just continue on and turn around. 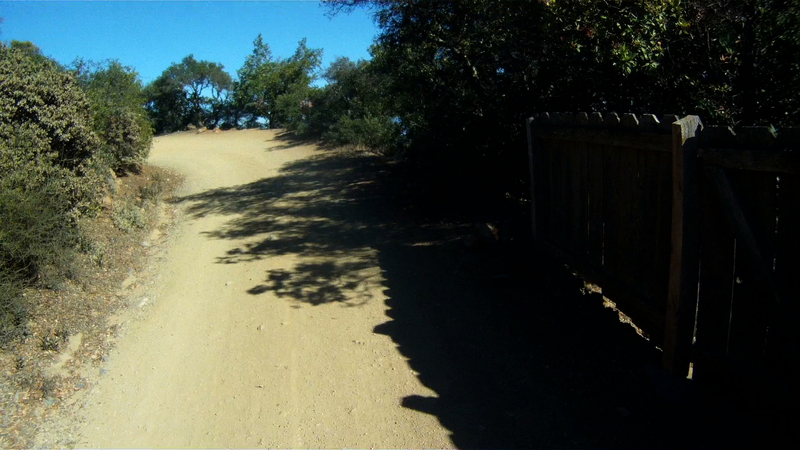 Follow the path and return back to the docks at Ayala Cove where you can pick up a ride back to Tiburon or San Francisco. 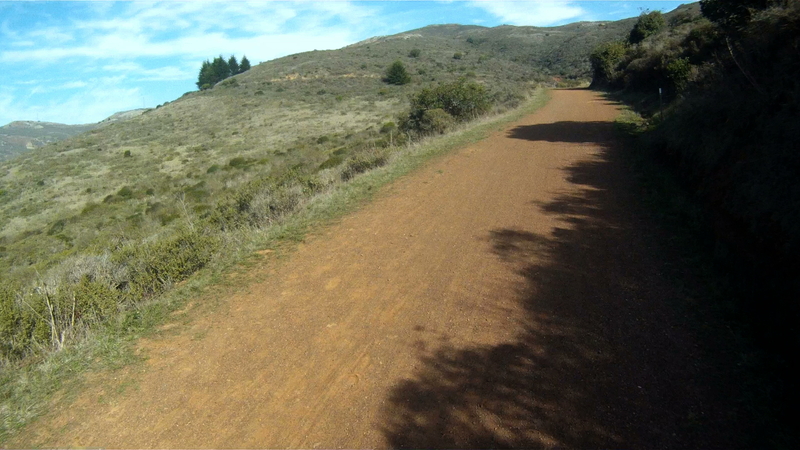 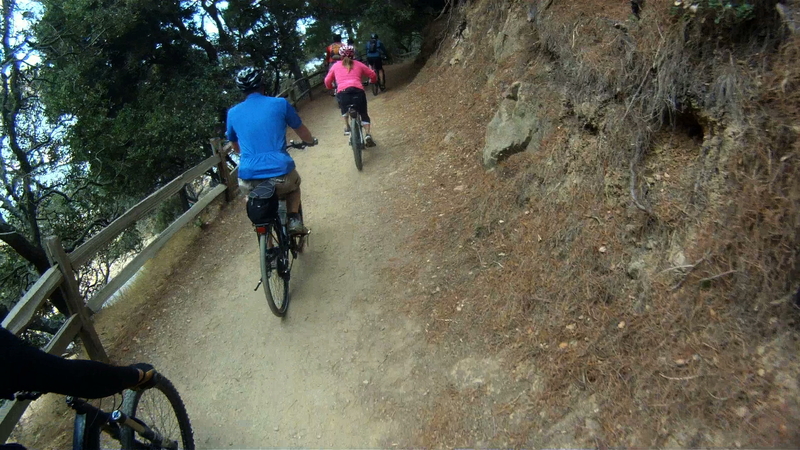 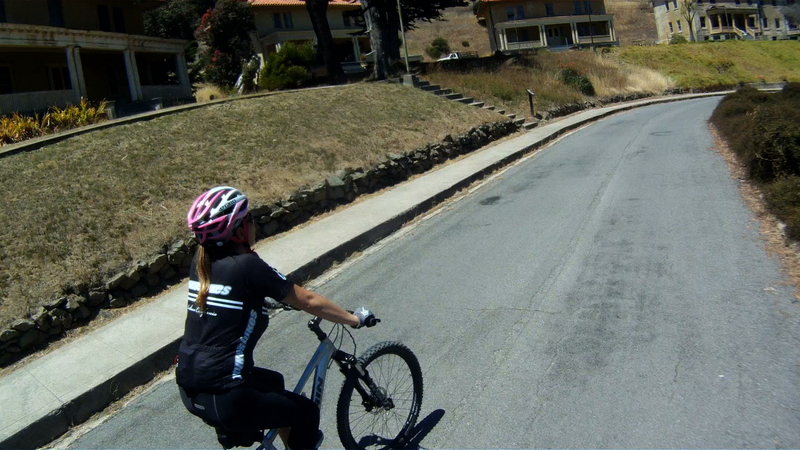 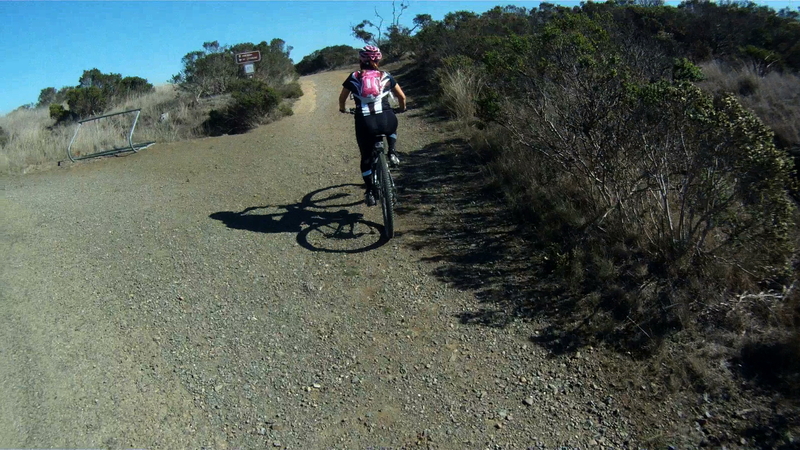 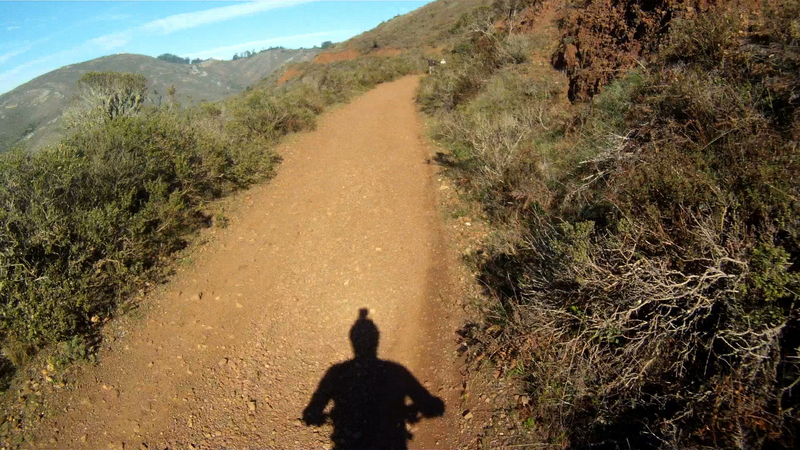 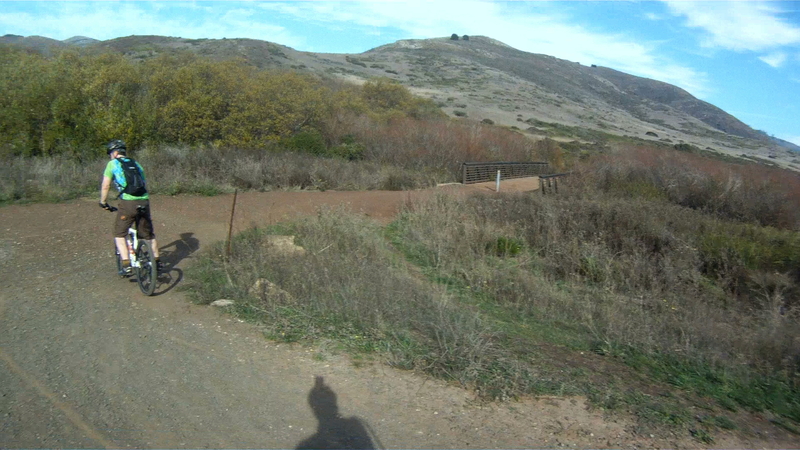 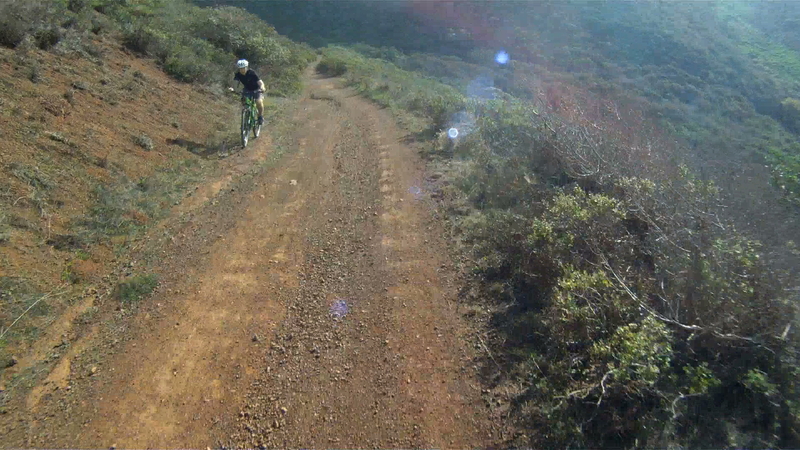 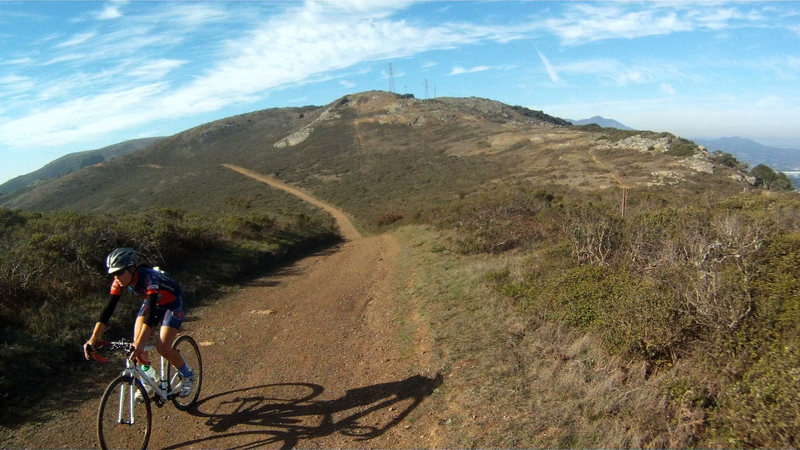 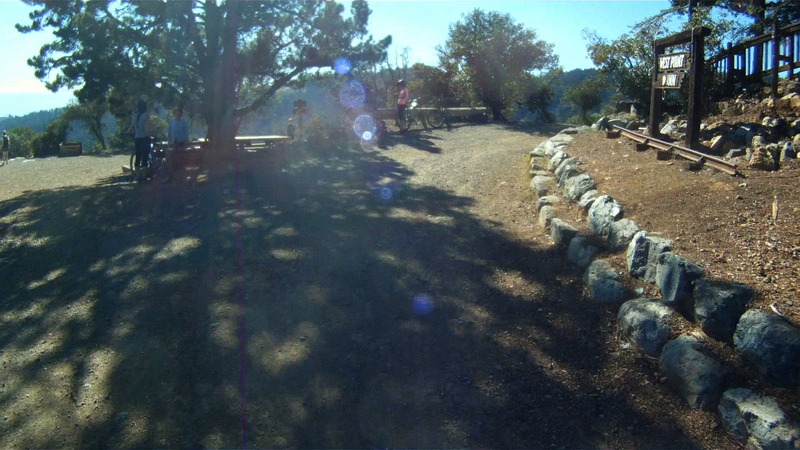 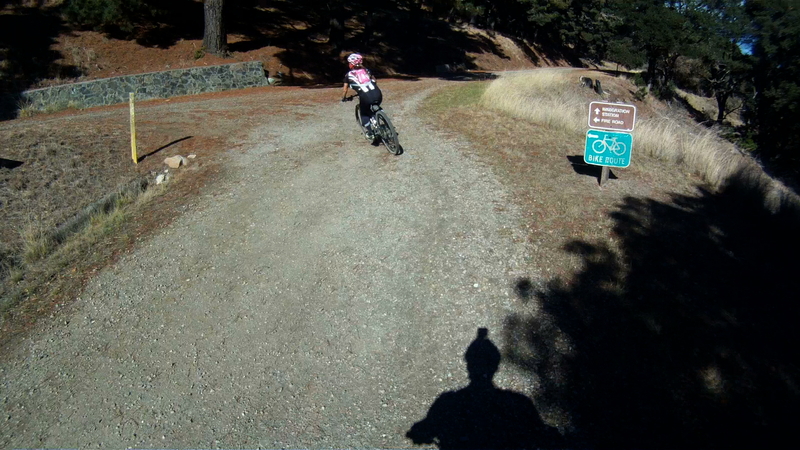 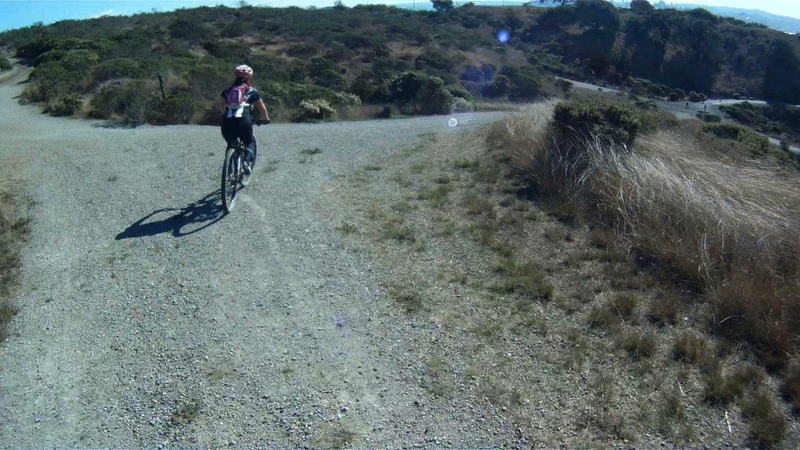 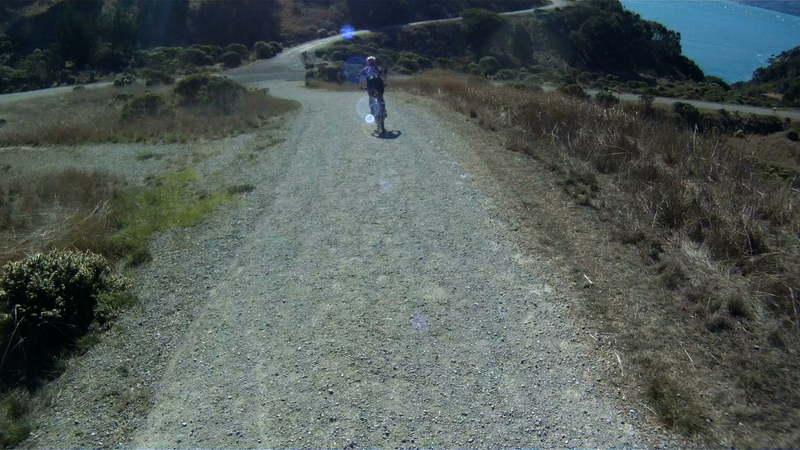 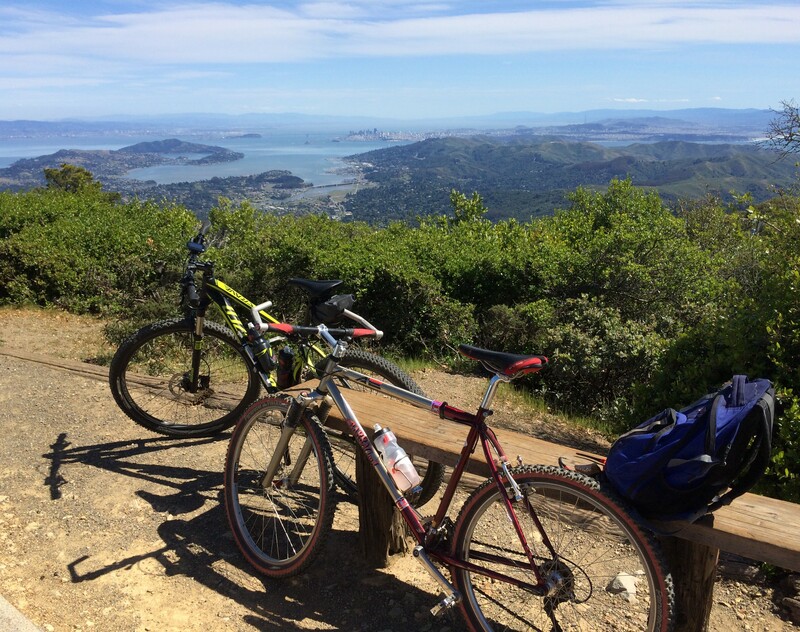 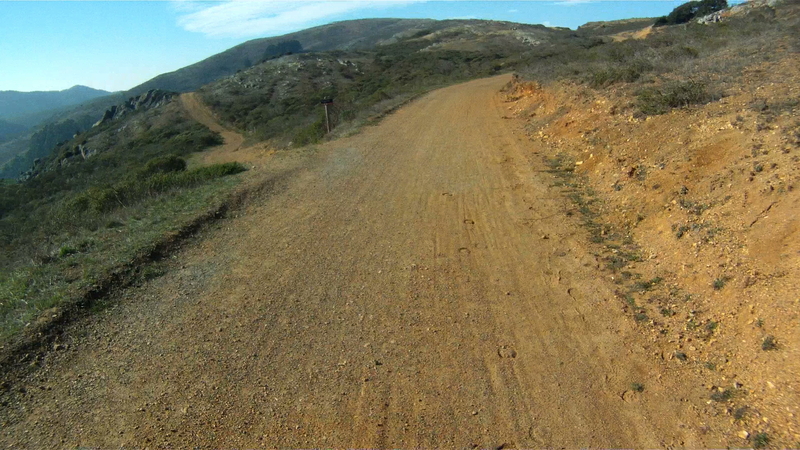 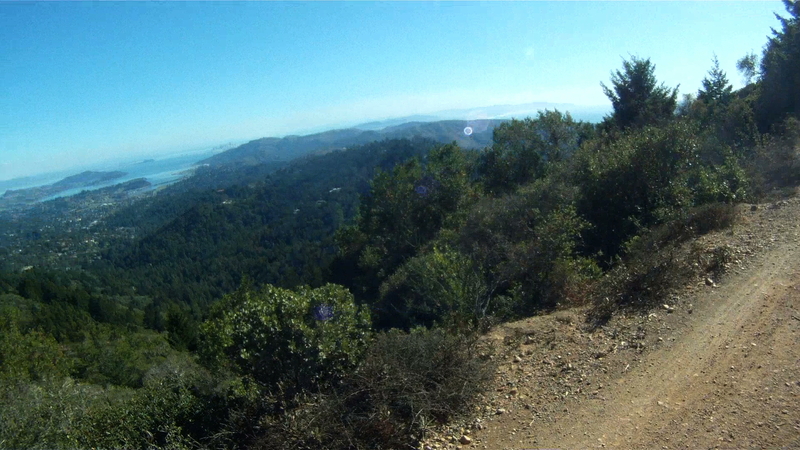 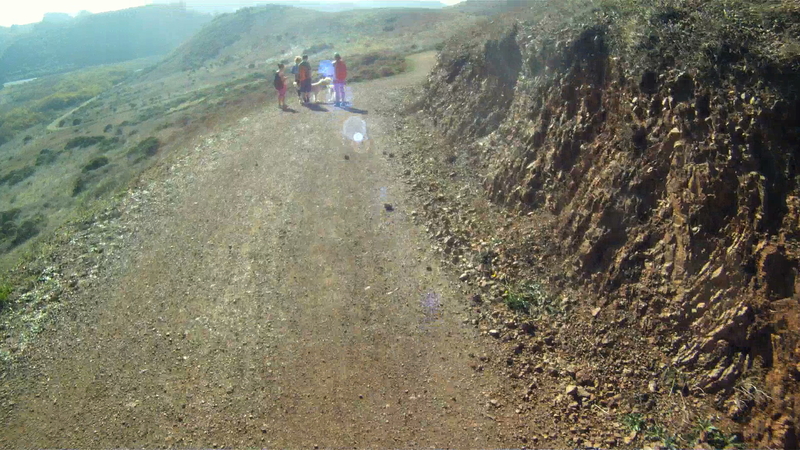 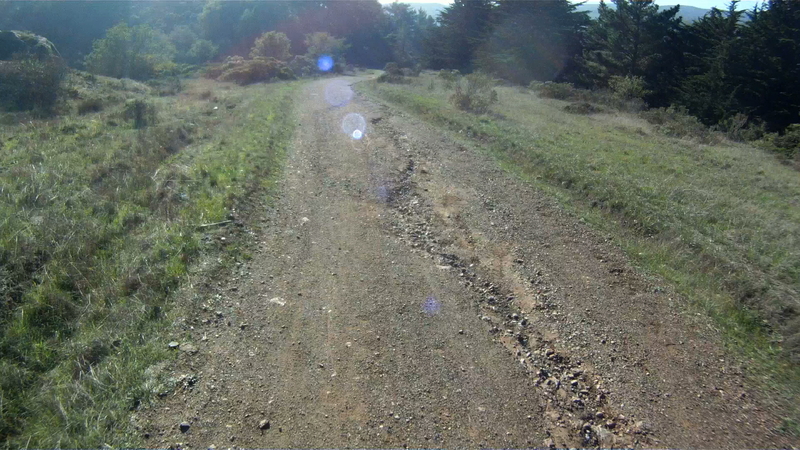 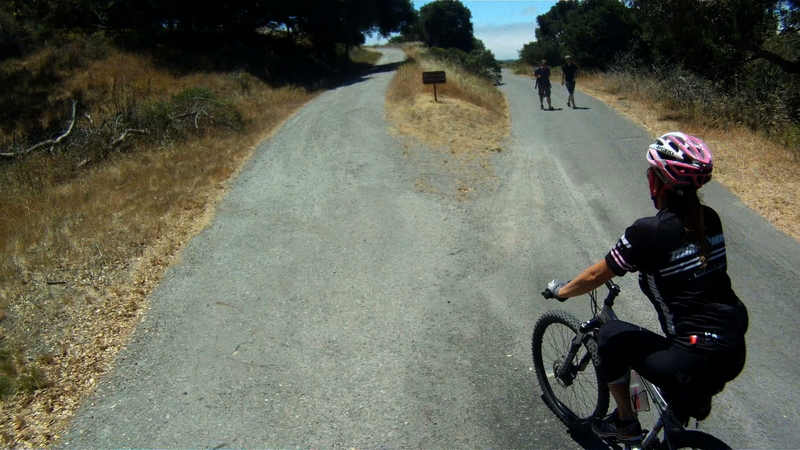 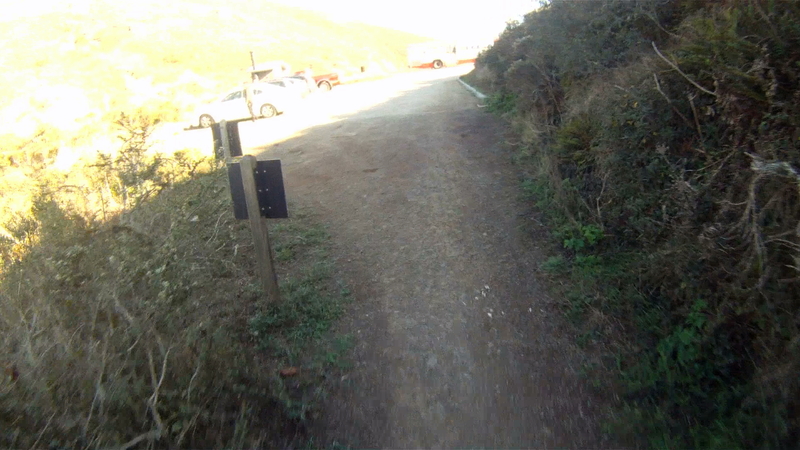 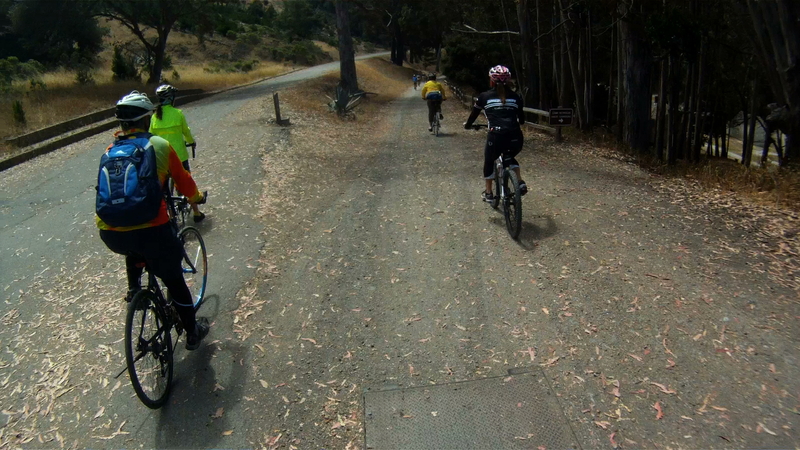 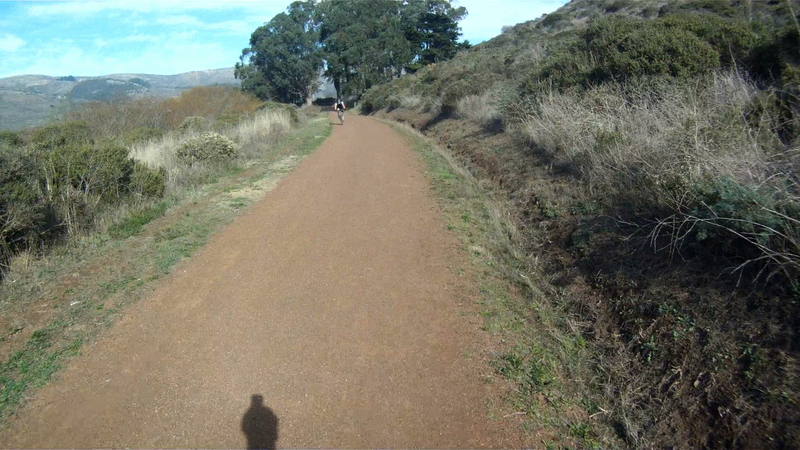 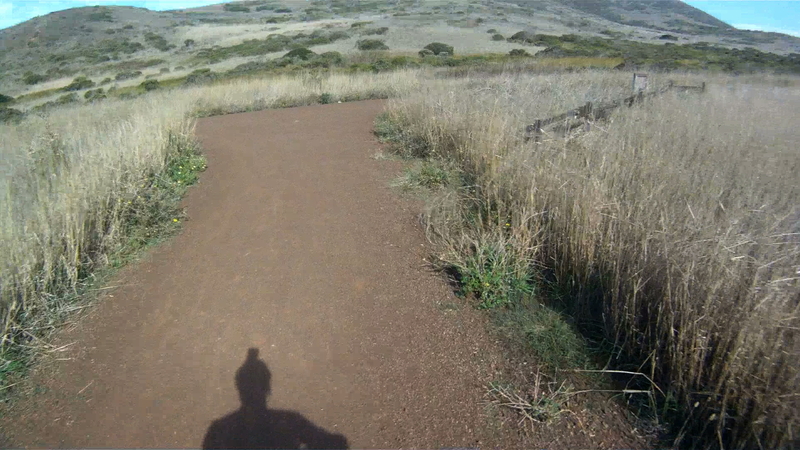 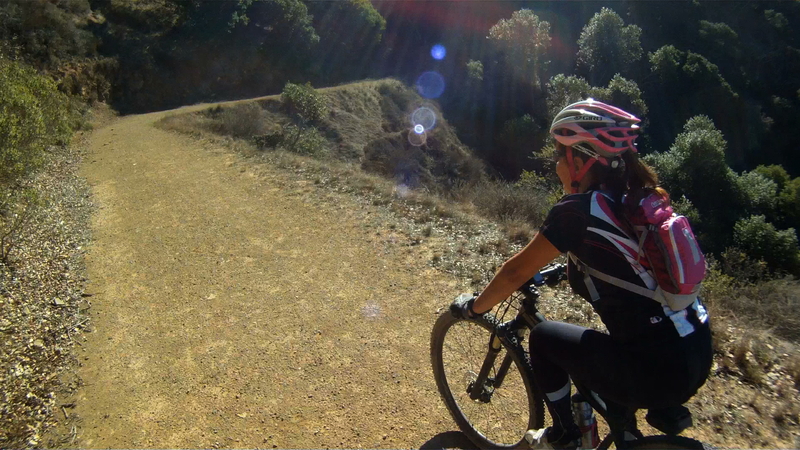 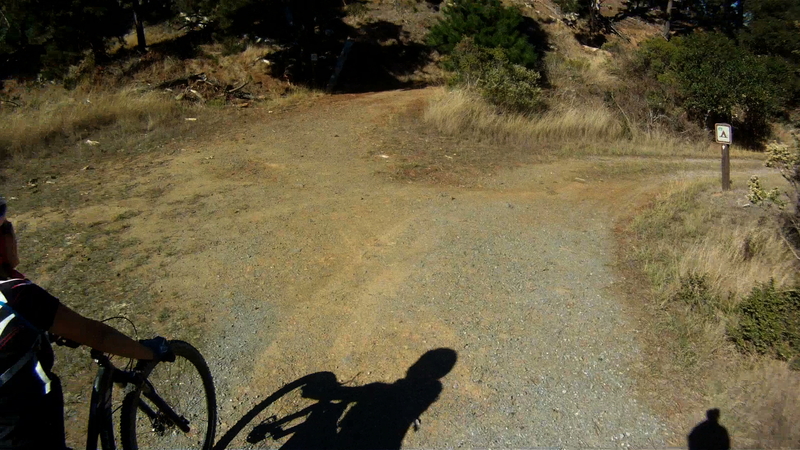 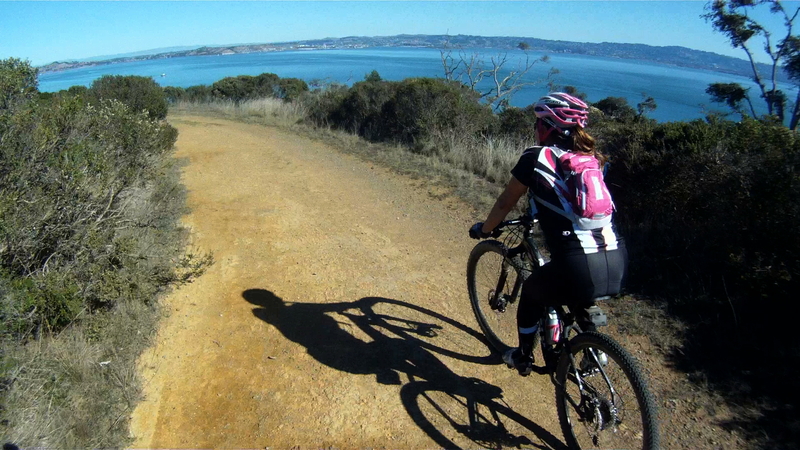 After a day of adventure on Angel Island, you really get a sense of how much fun mountain biking can be. 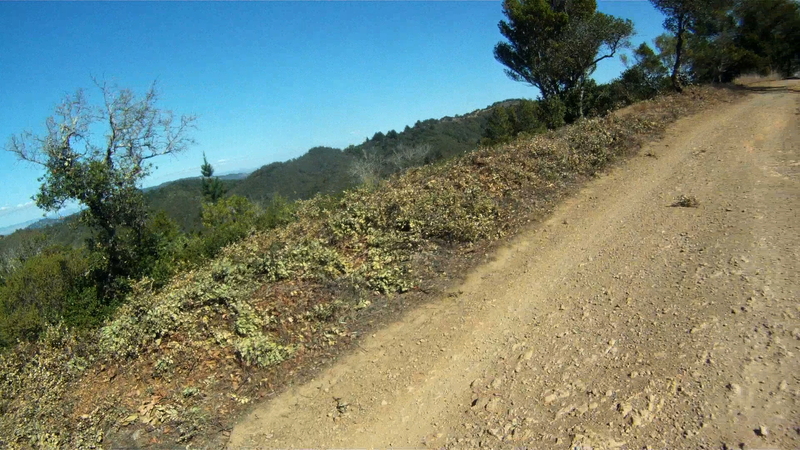 While most of the route is pretty tame, there is some loose terrain and quick descents that give you a sense of trail riding. 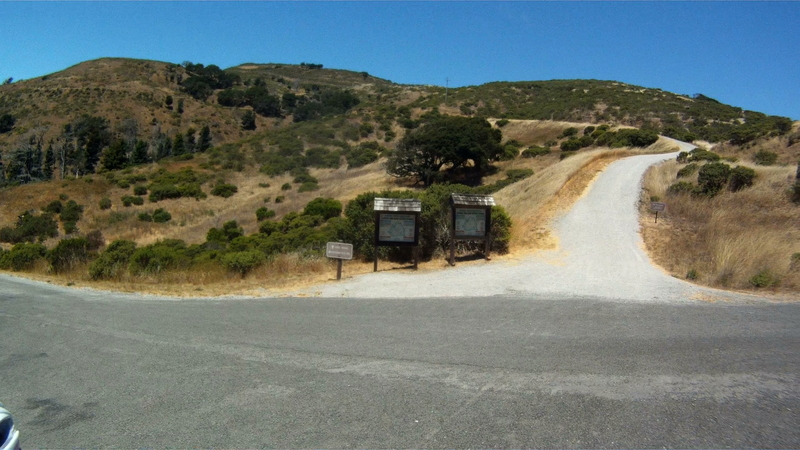 While accessing this park is a bit more complicated than just hopping in your car, it is totally worth while. 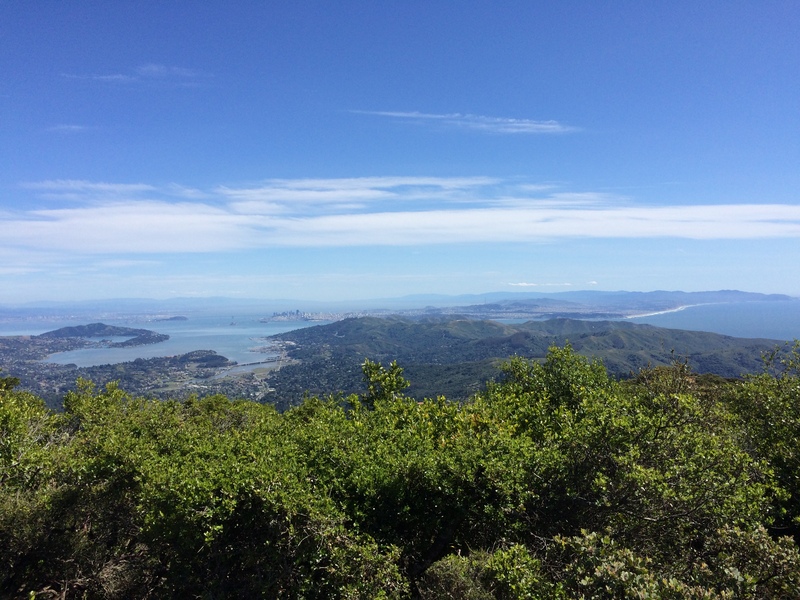 The views, the experience and the fun you will have both on the island and on the boat to the island are memories waiting to be made.